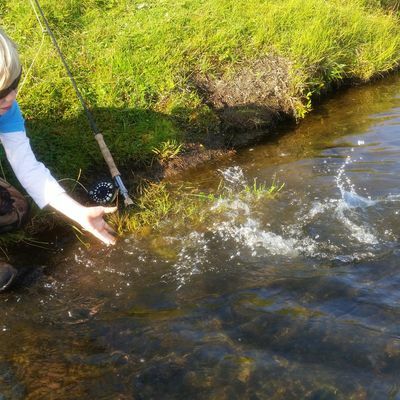 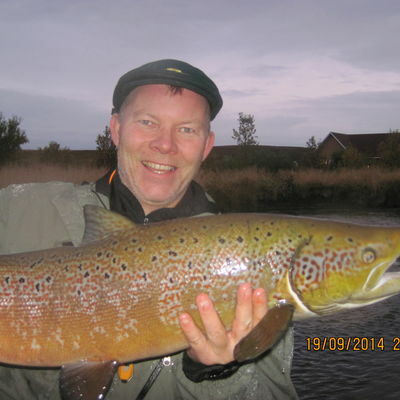 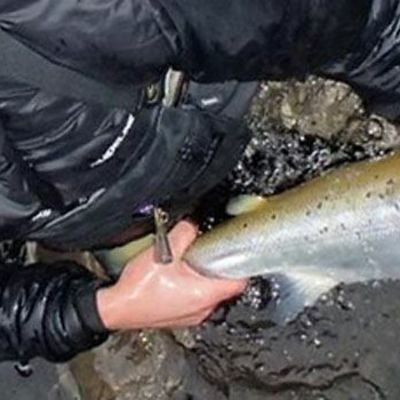 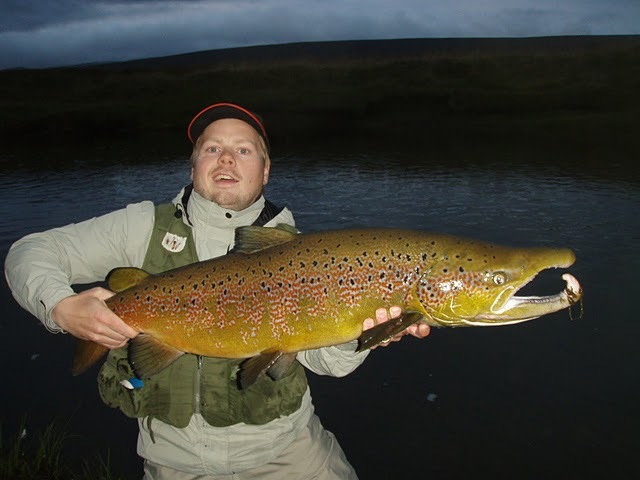 The fishing season starts on June 1st with brown trout fishing and at that time it is not unusual for angler to be catching 10-15 browns a day with a fairly good average size. 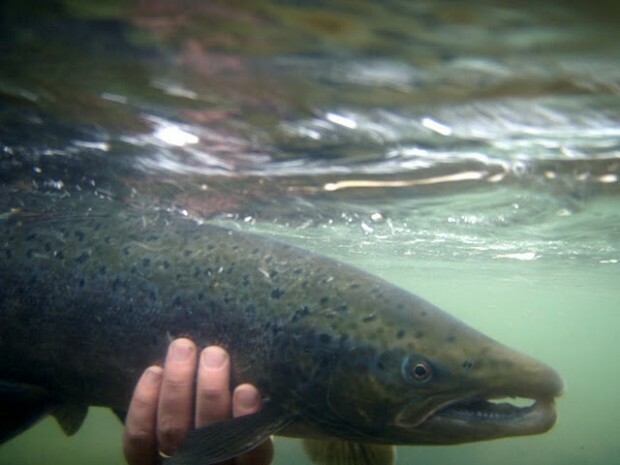 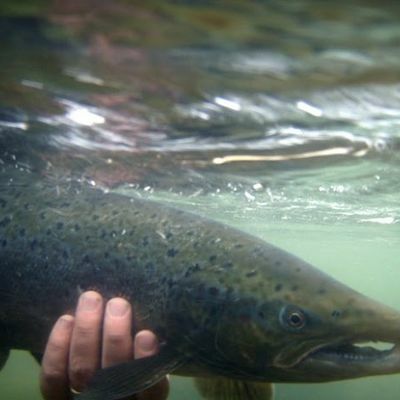 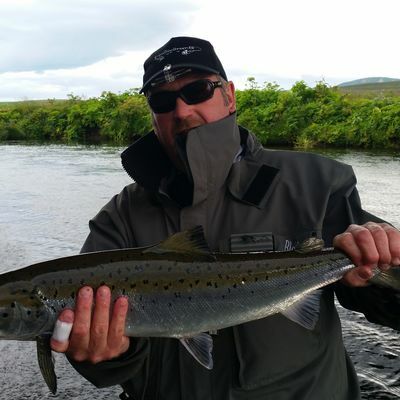 Later in June the salmon start making their way up river in small numbers but since the focus is mostly on dry fly fishing for brown trout there are not many salmon caught in June every year. 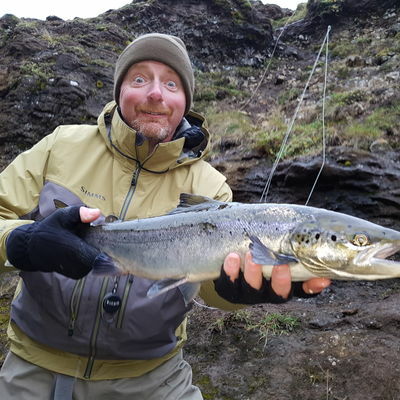 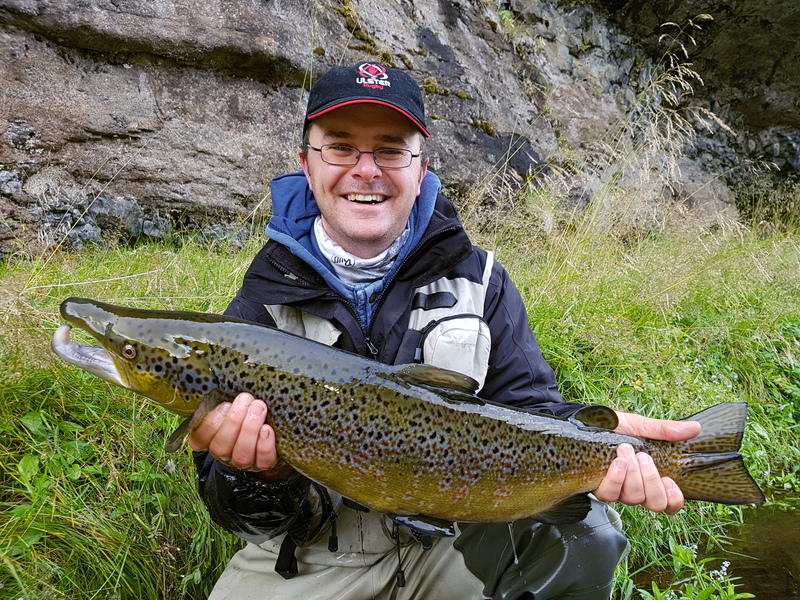 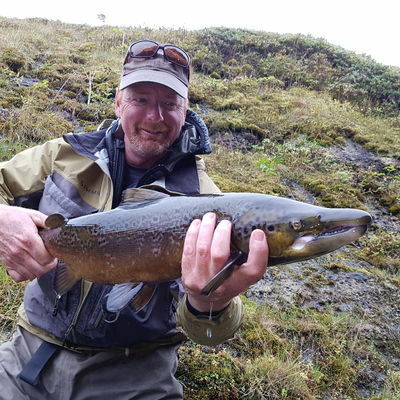 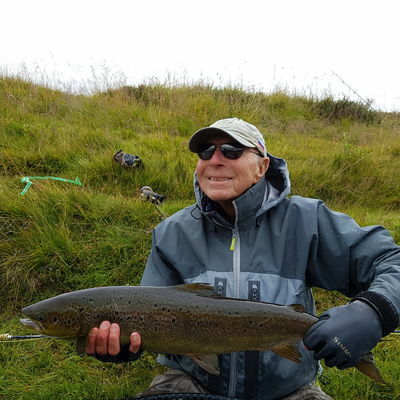 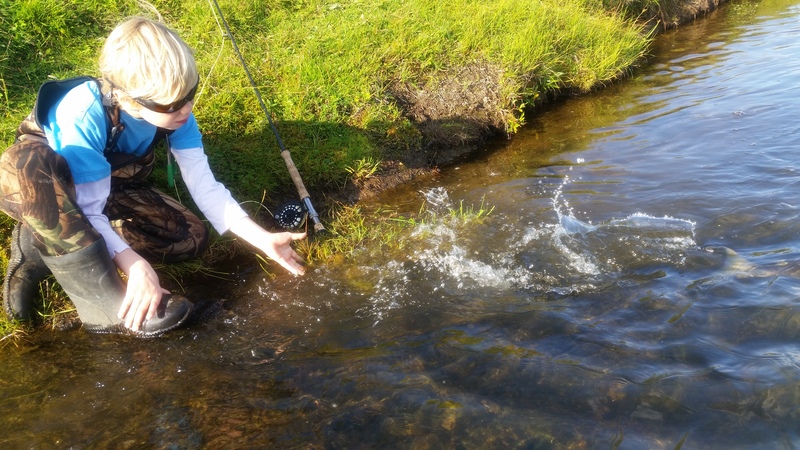 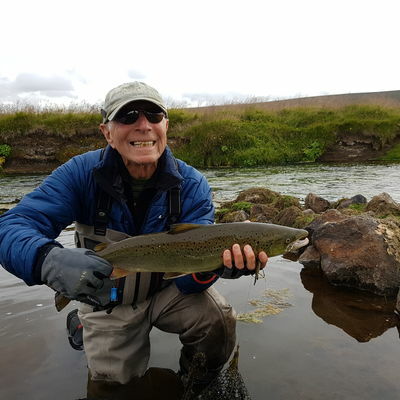 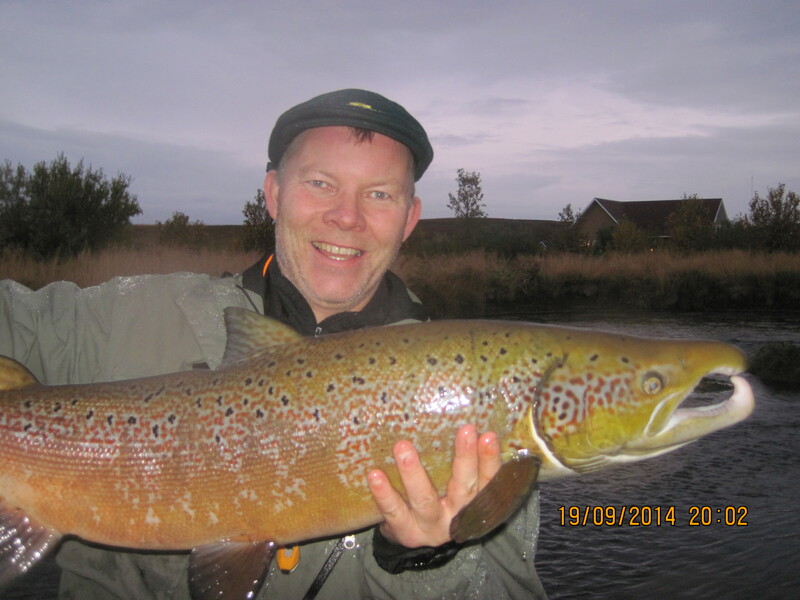 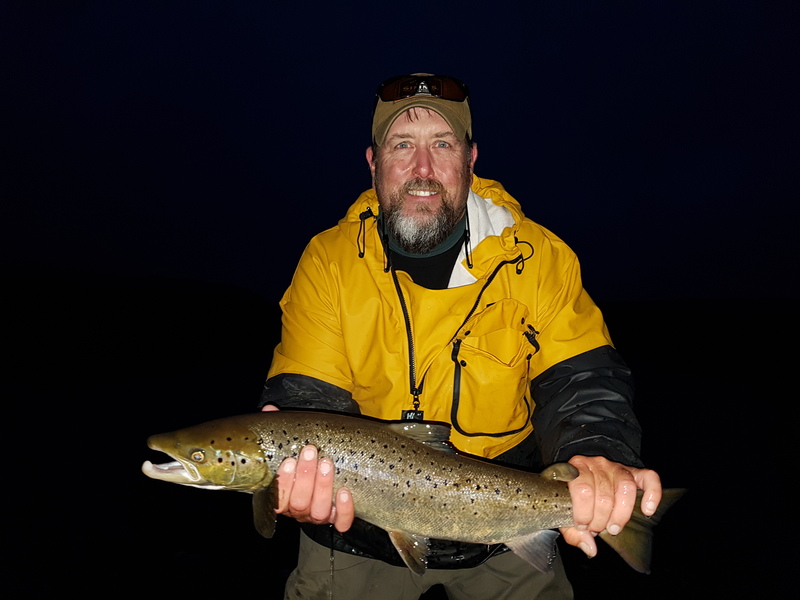 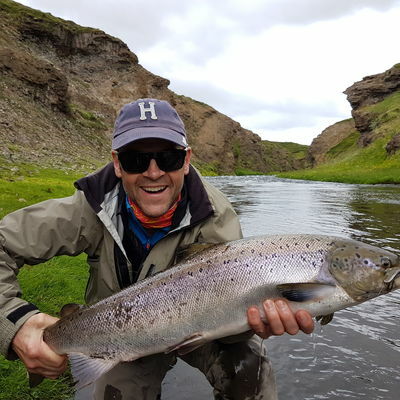 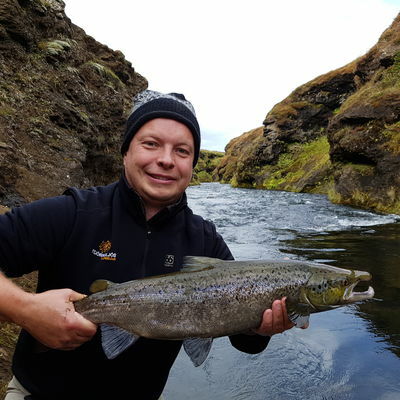 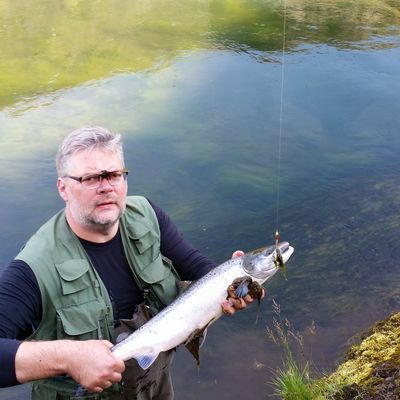 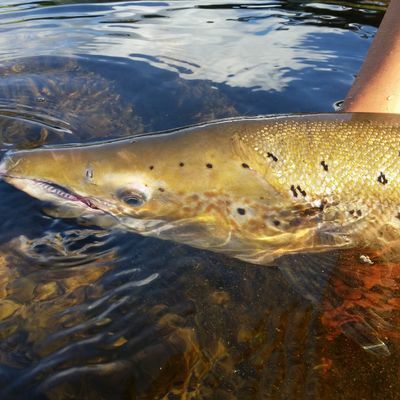 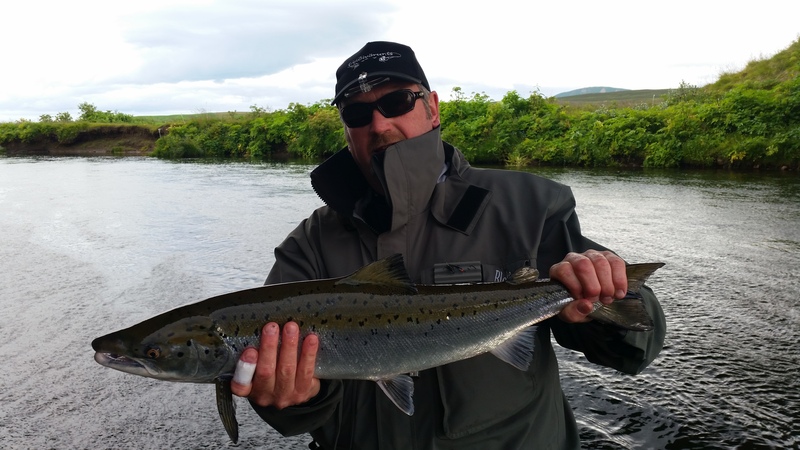 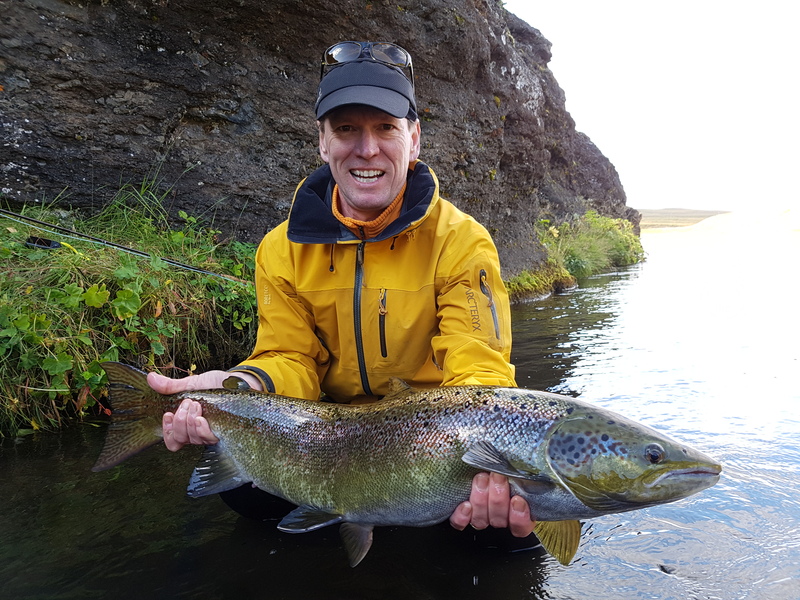 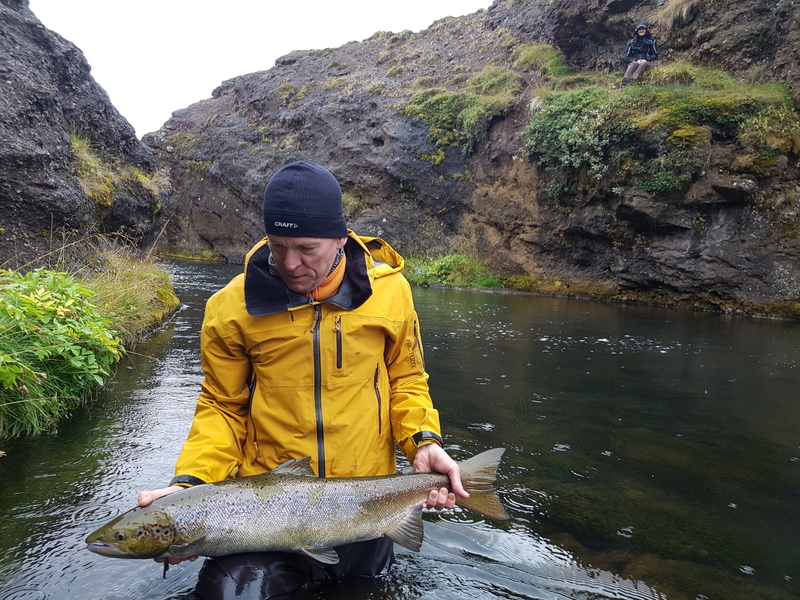 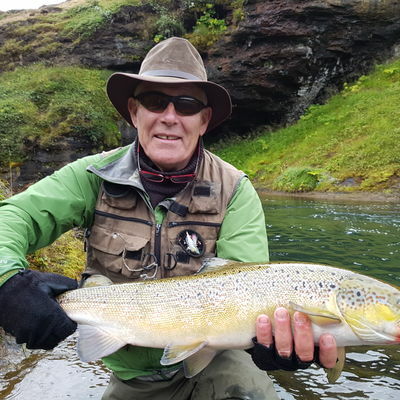 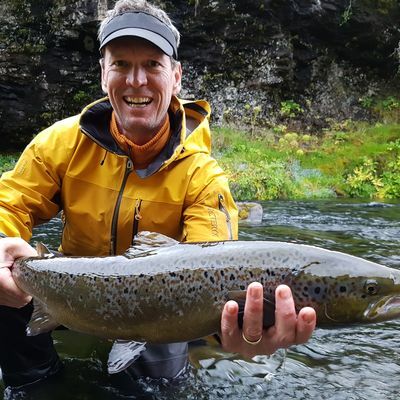 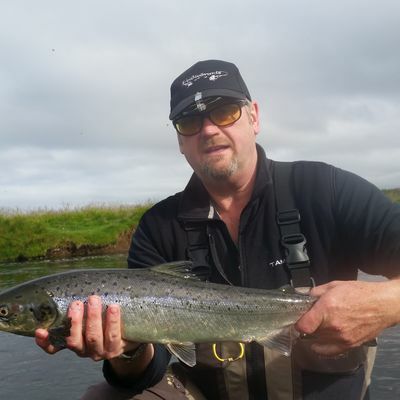 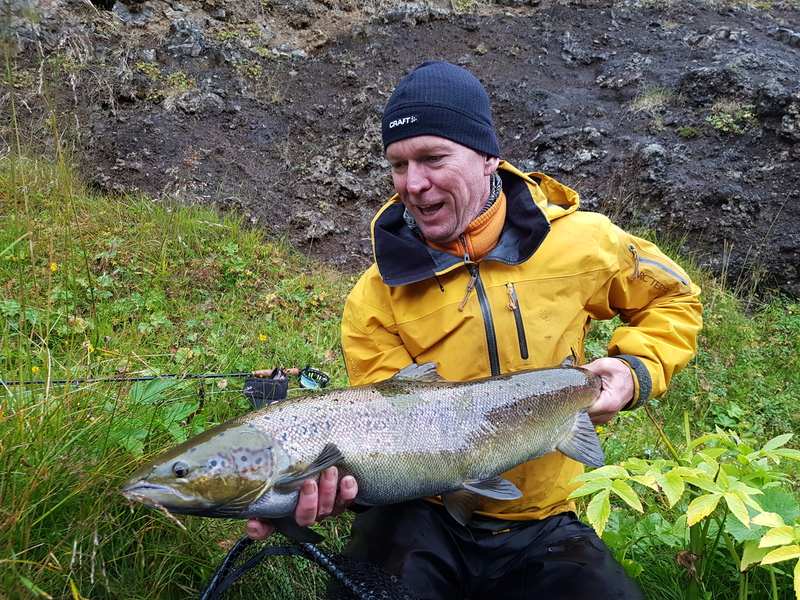 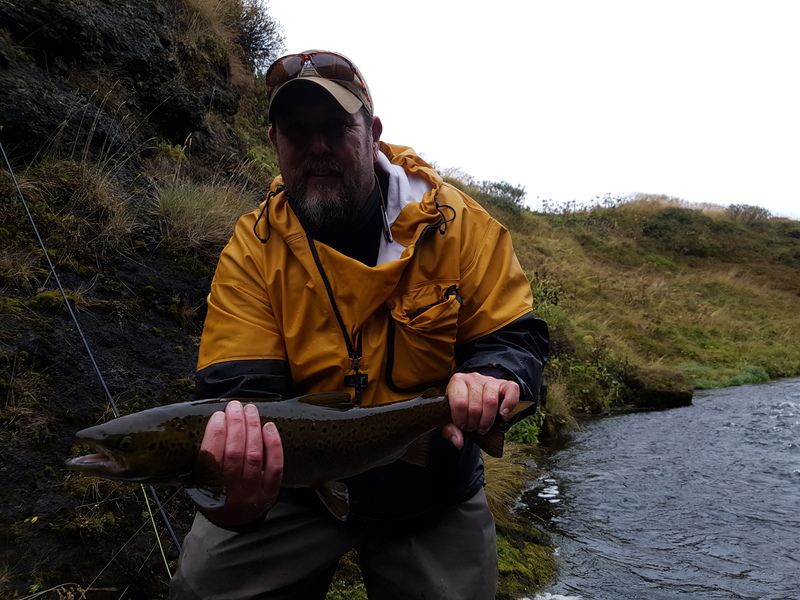 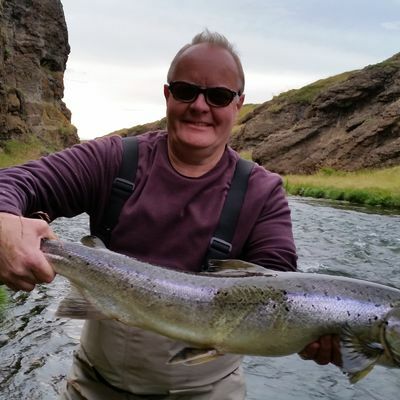 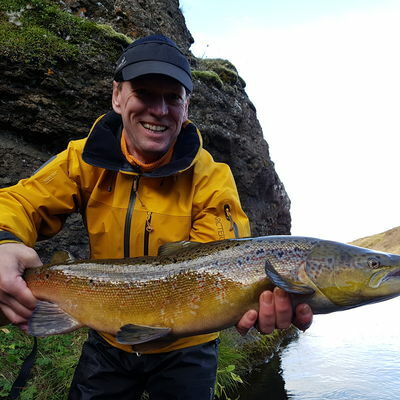 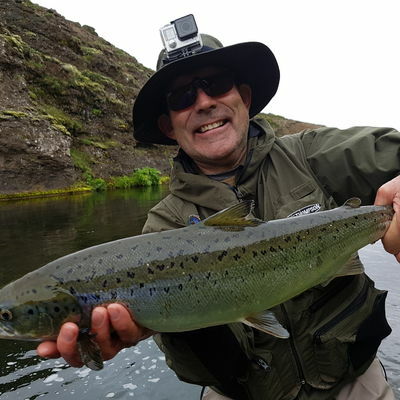 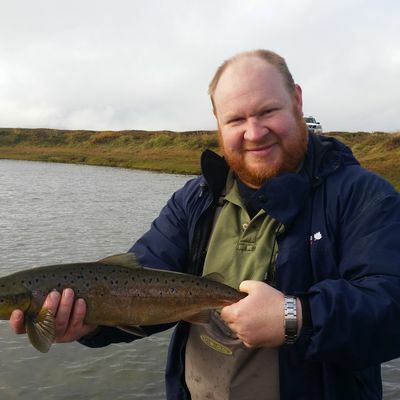 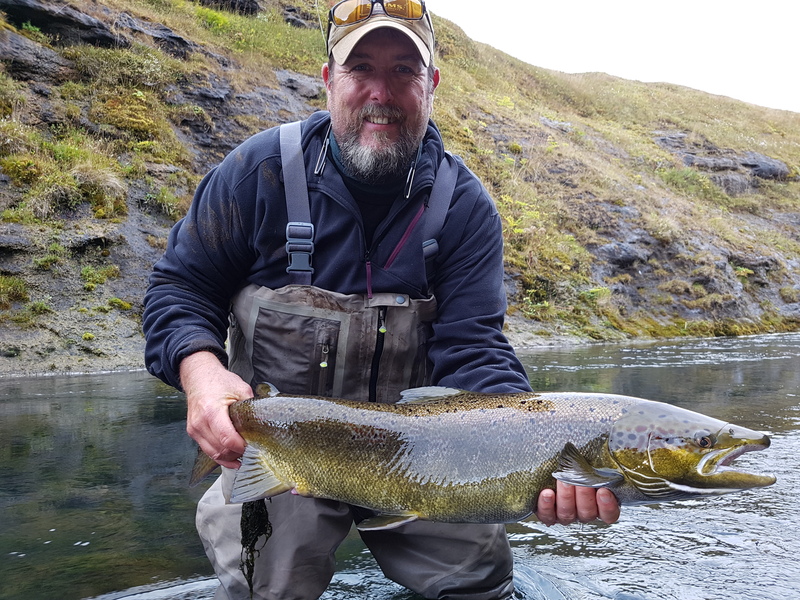 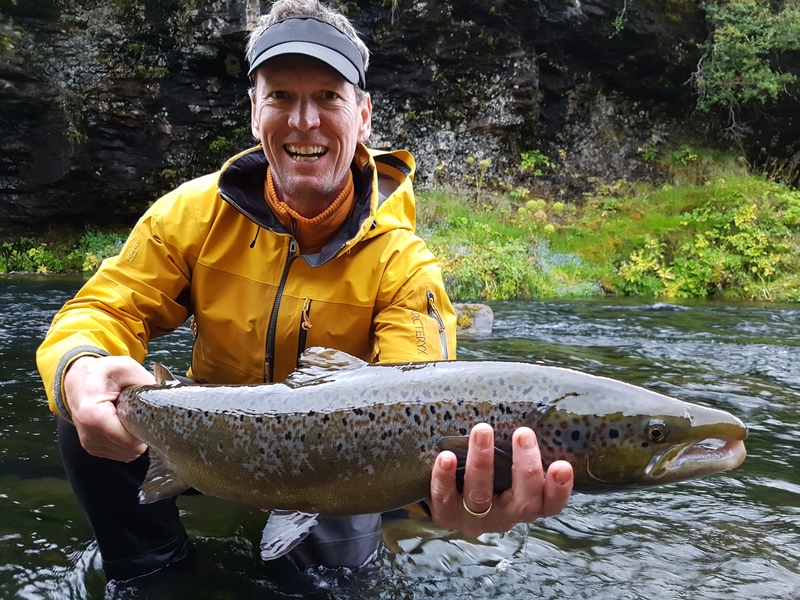 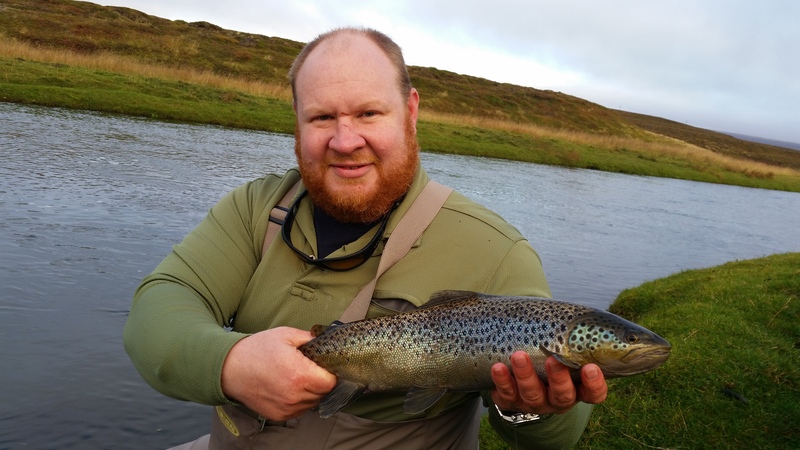 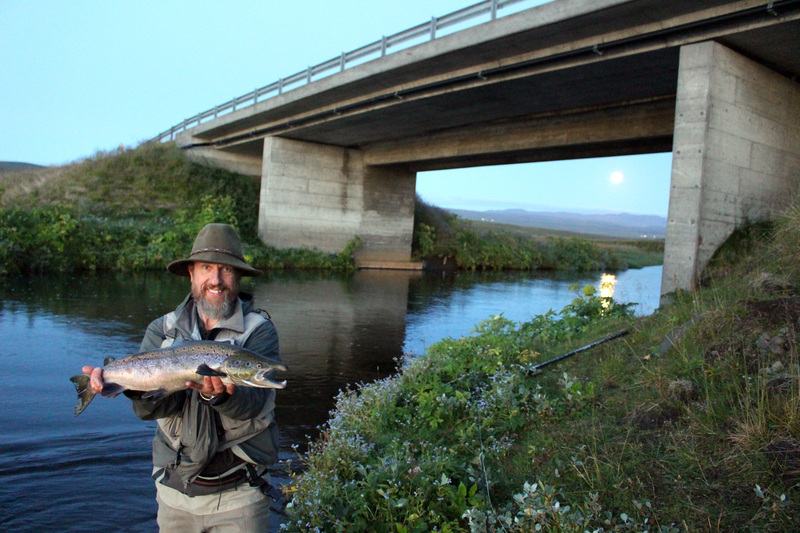 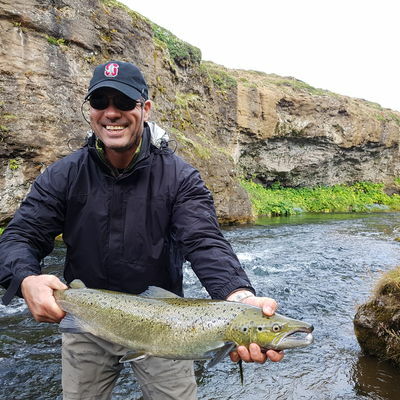 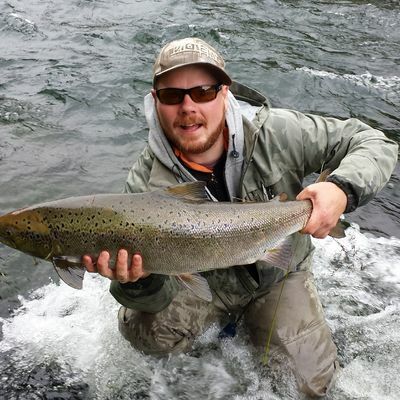 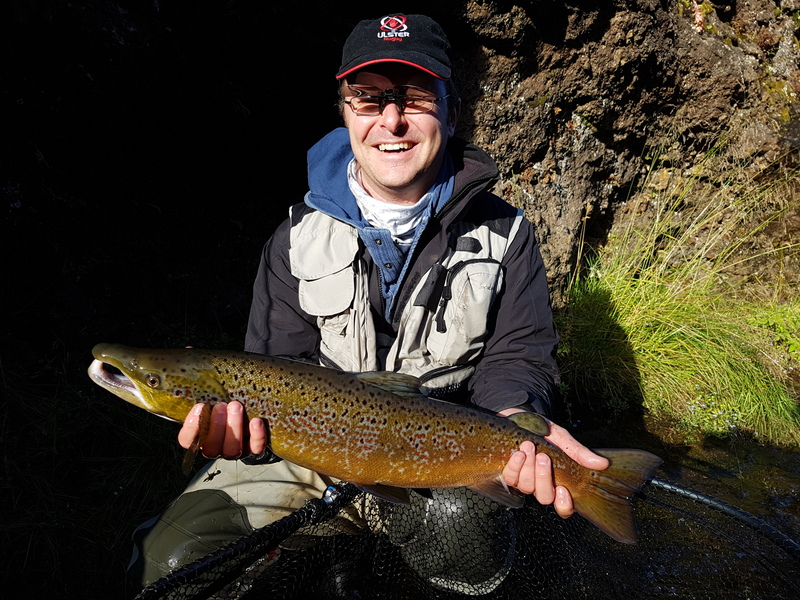 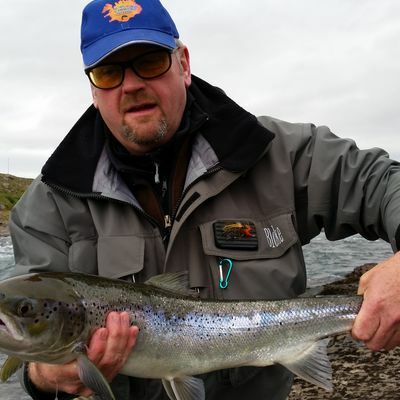 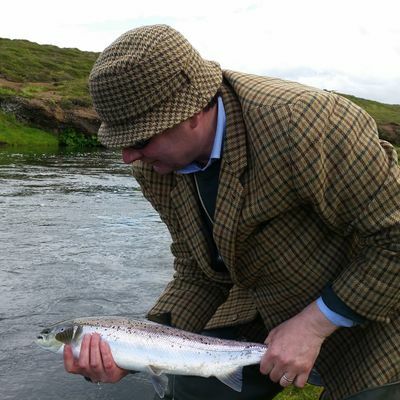 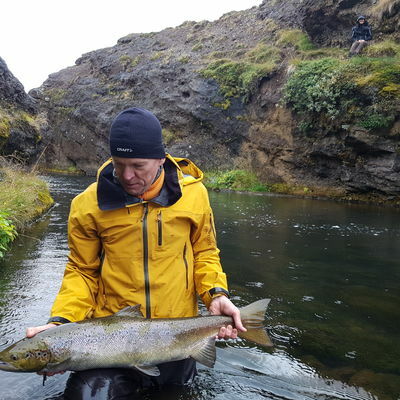 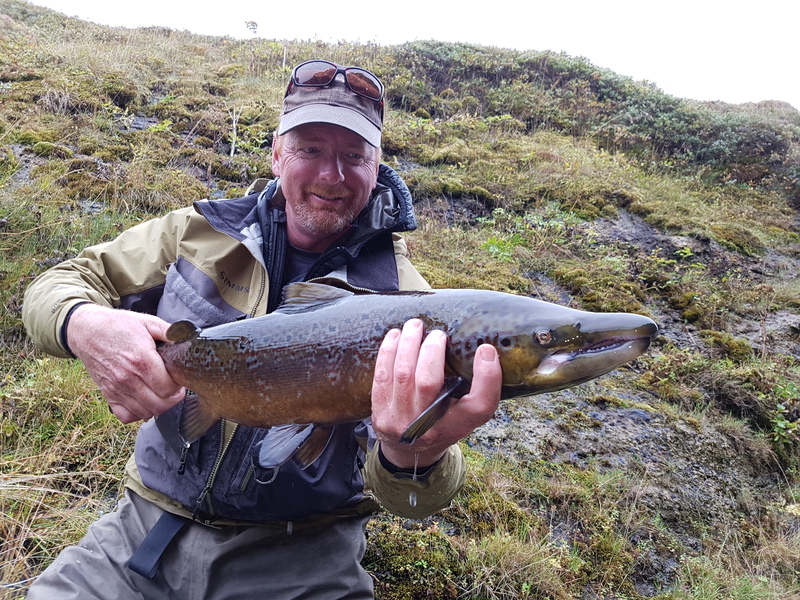 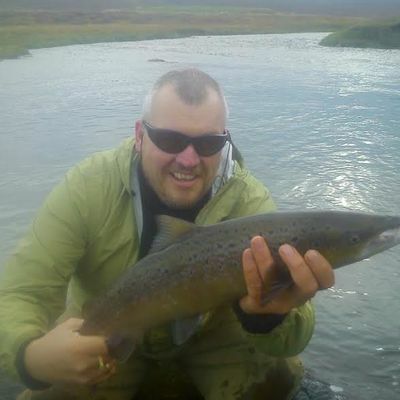 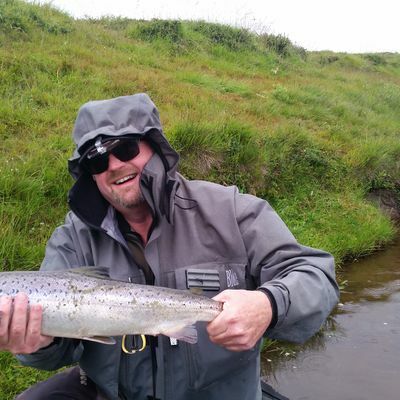 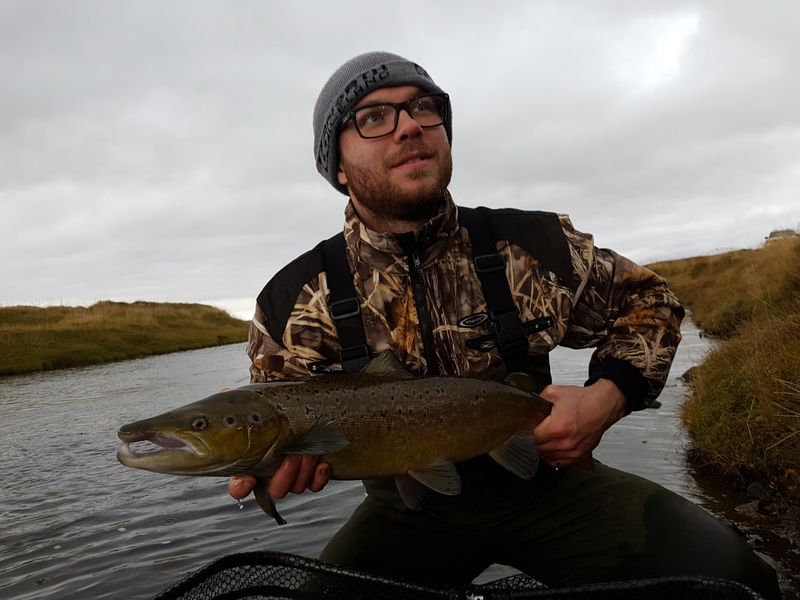 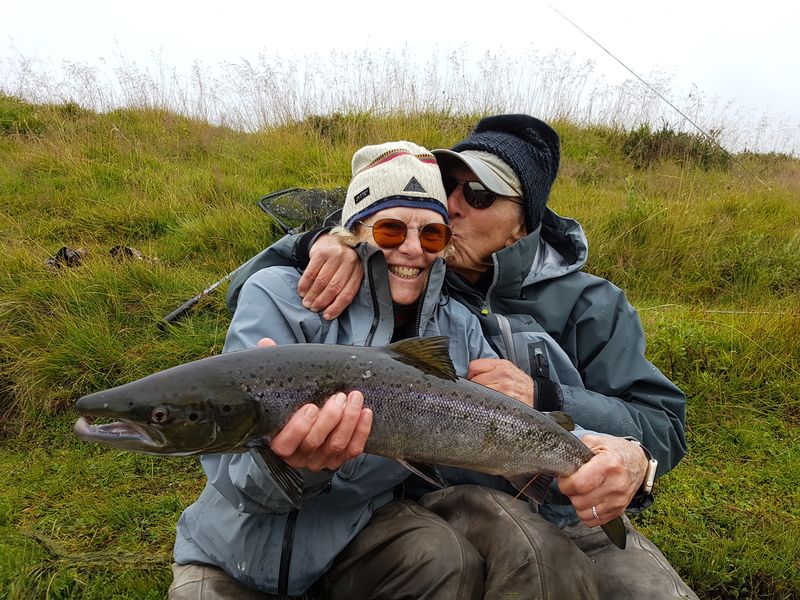 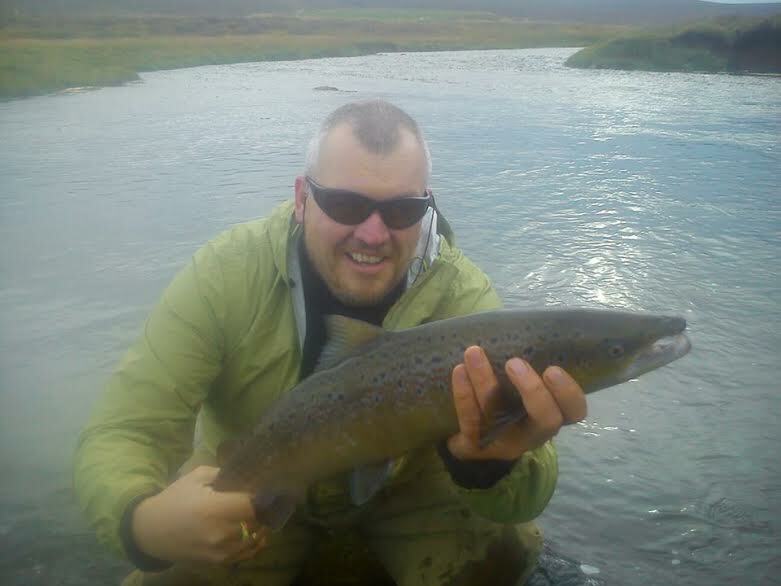 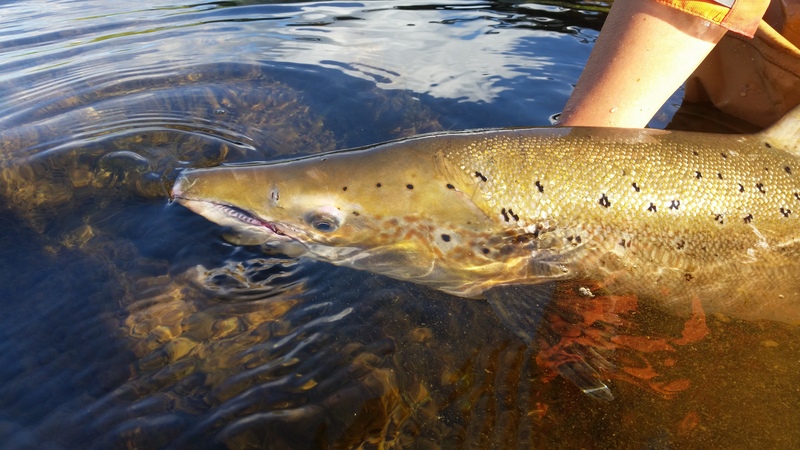 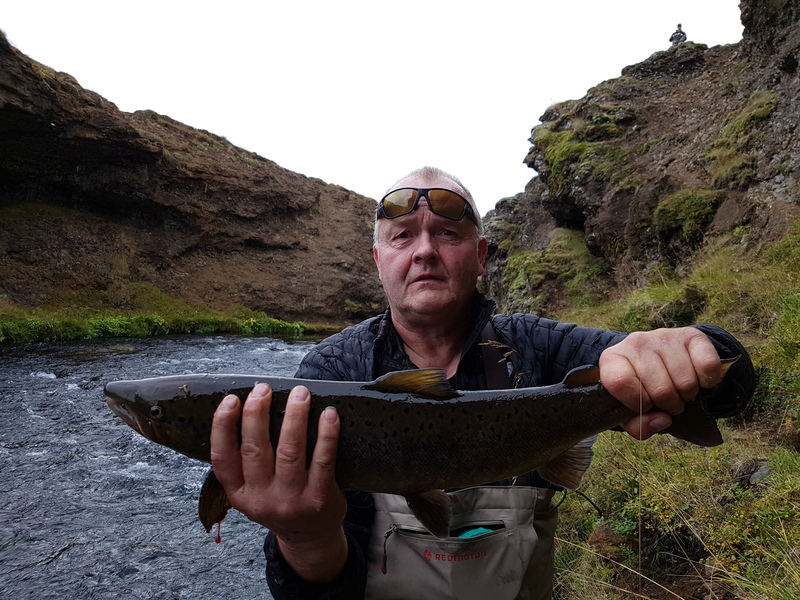 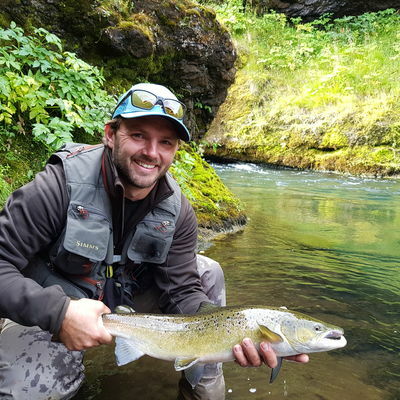 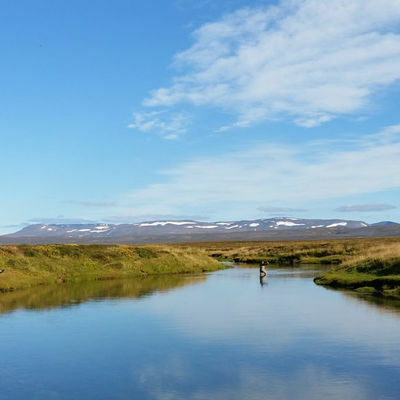 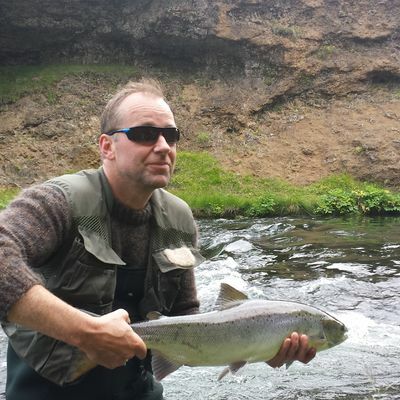 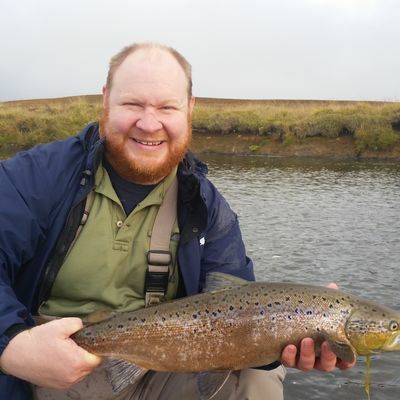 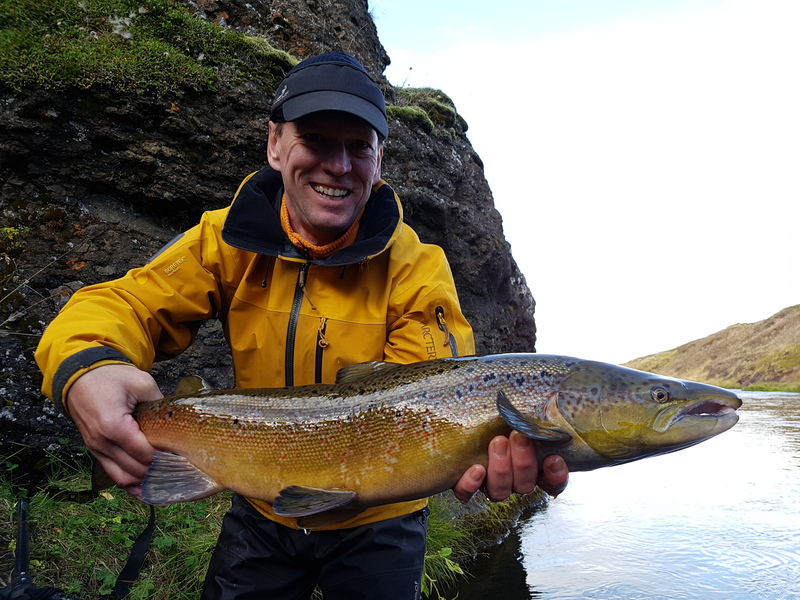 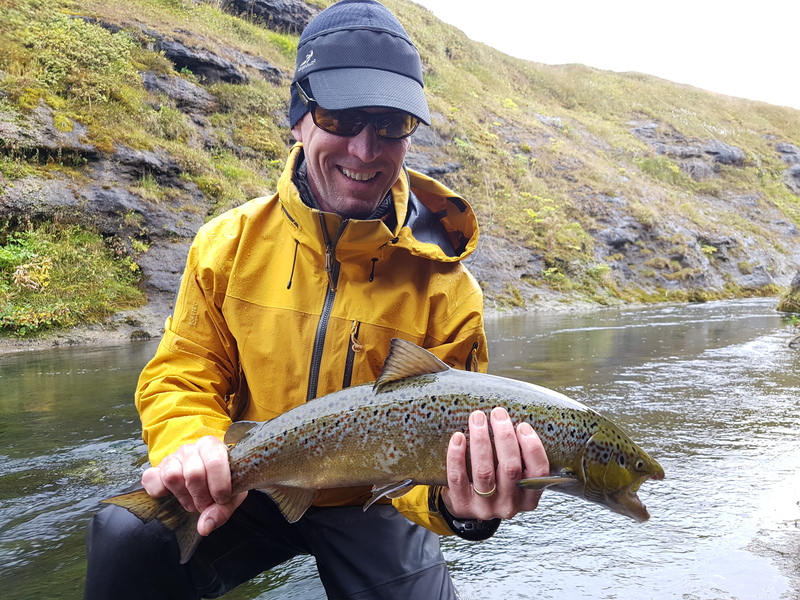 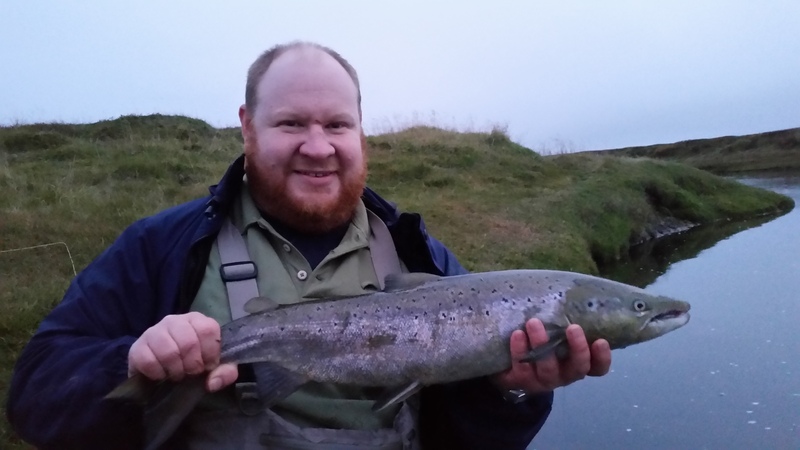 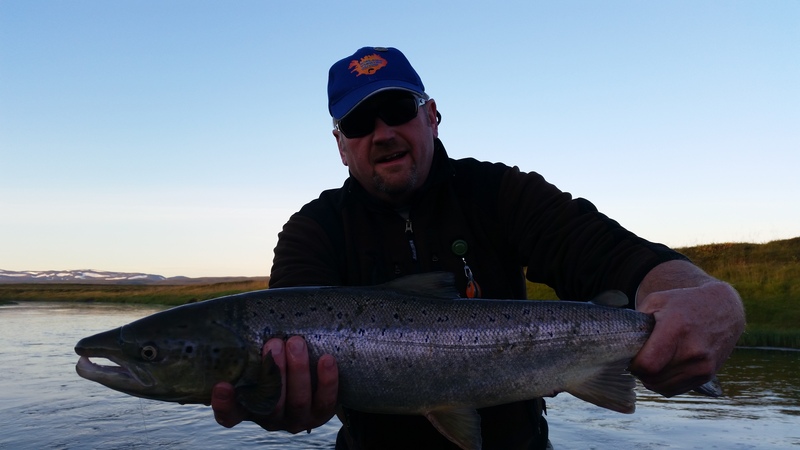 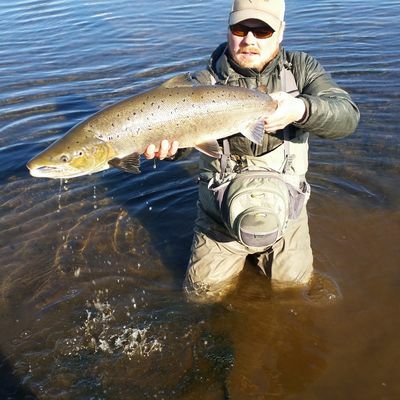 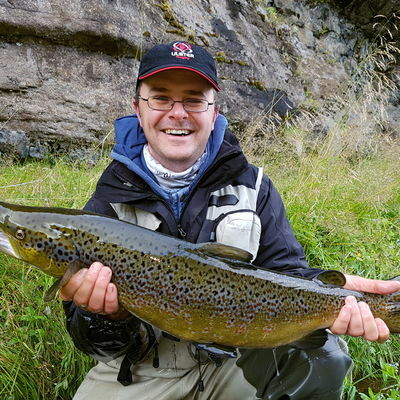 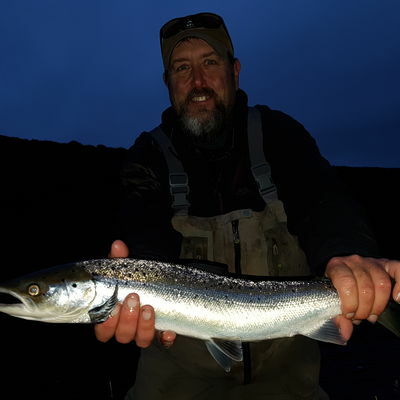 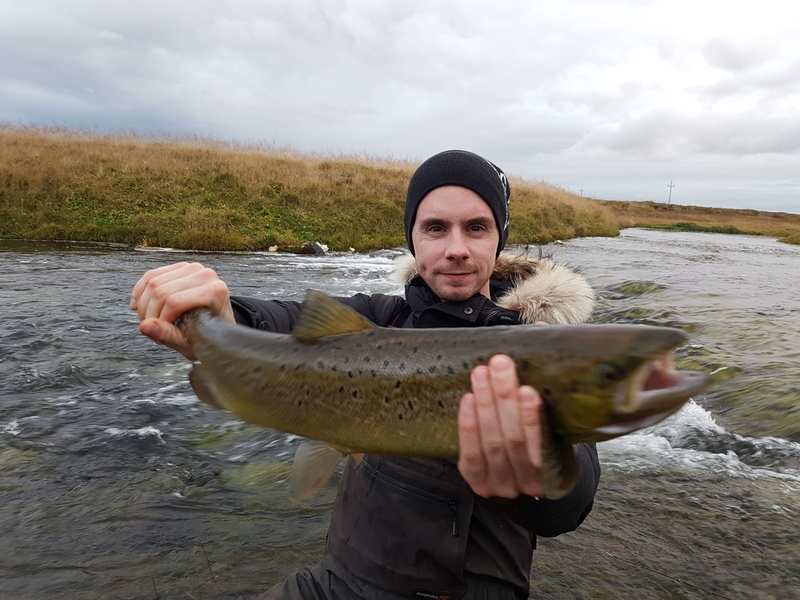 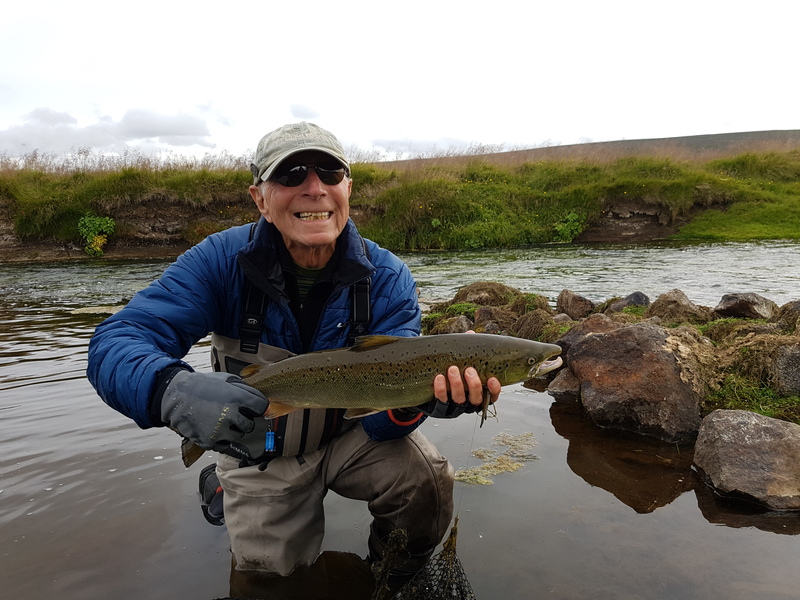 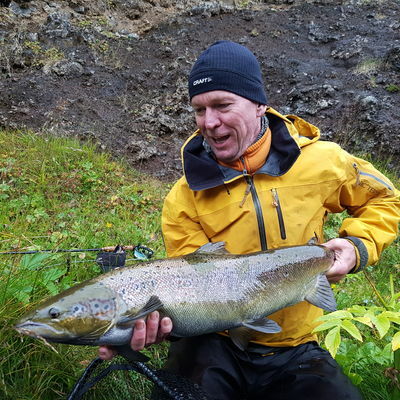 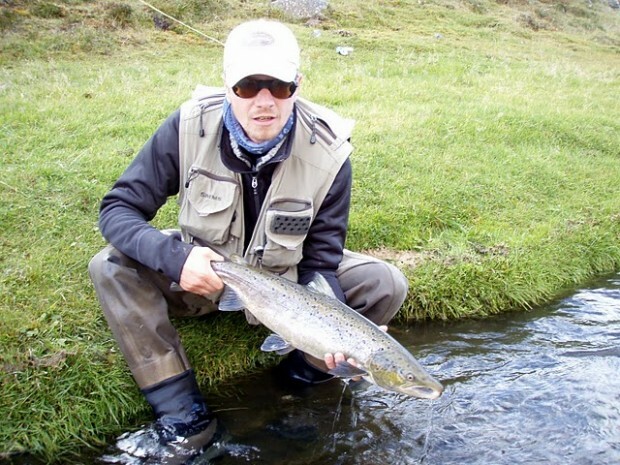 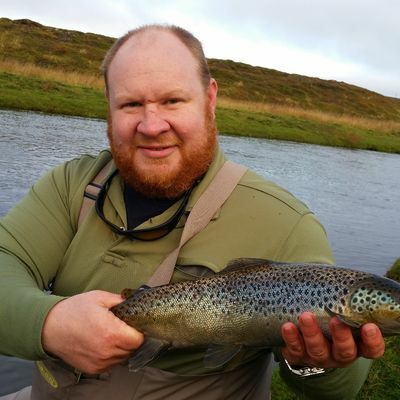 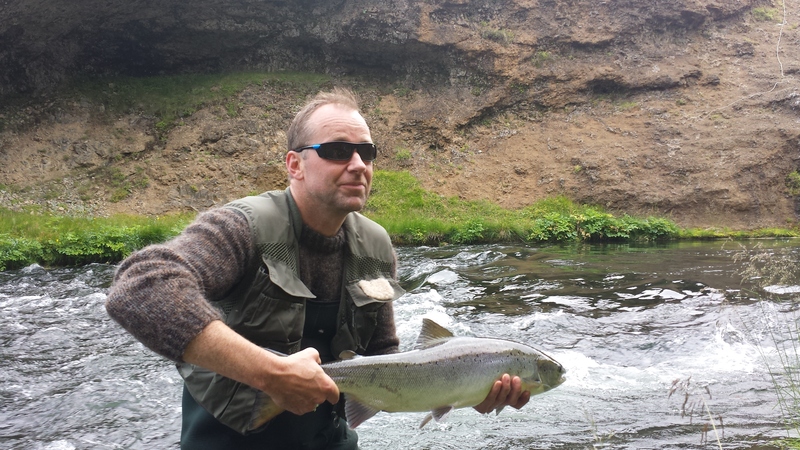 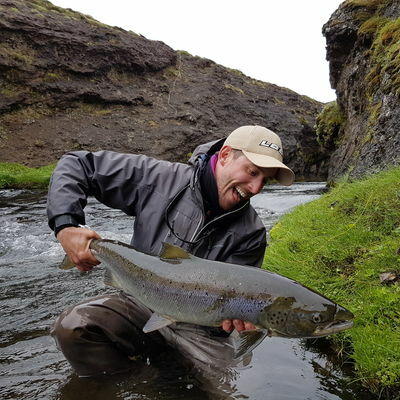 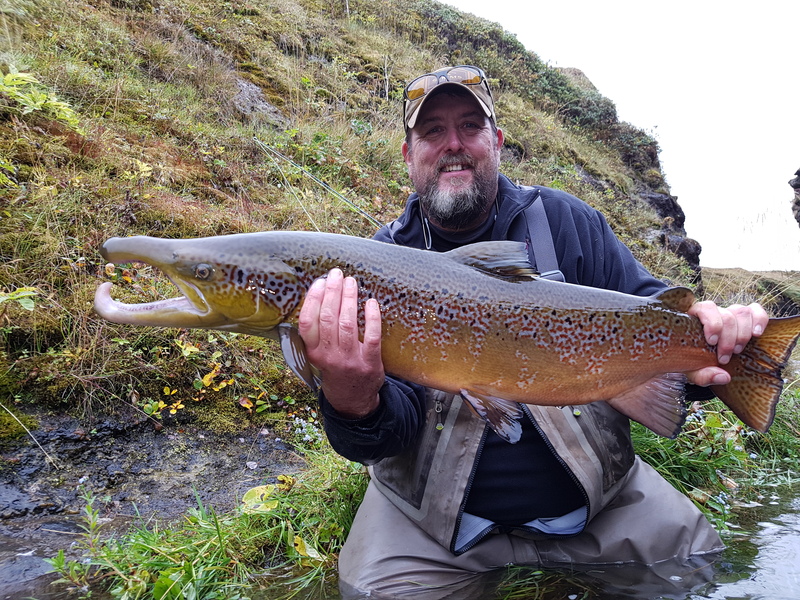 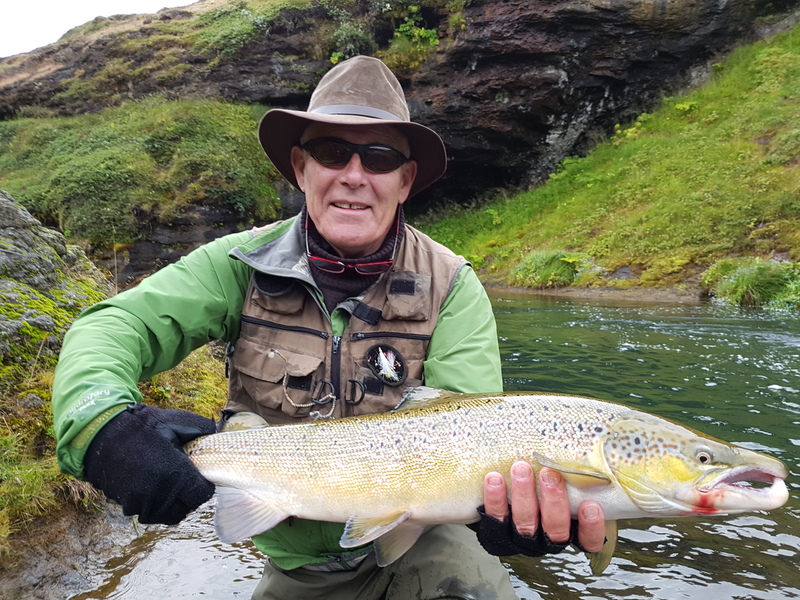 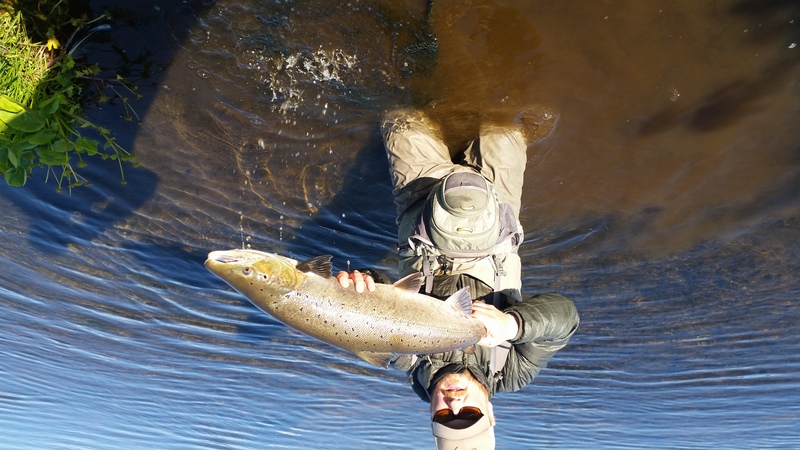 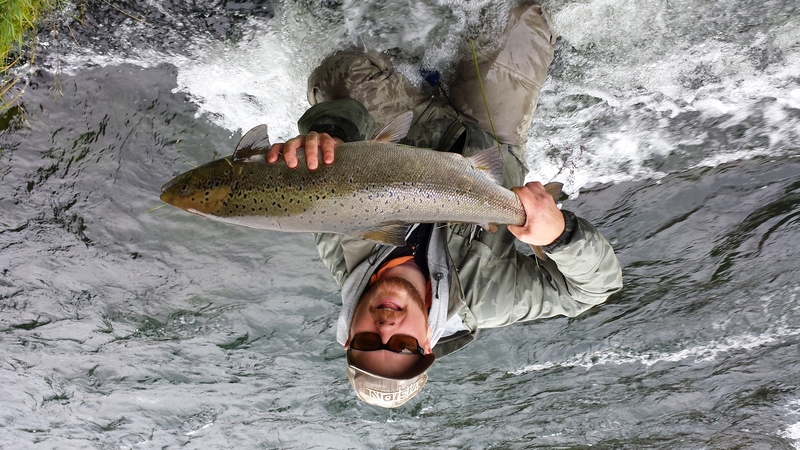 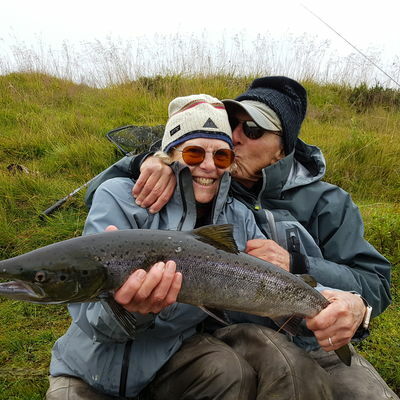 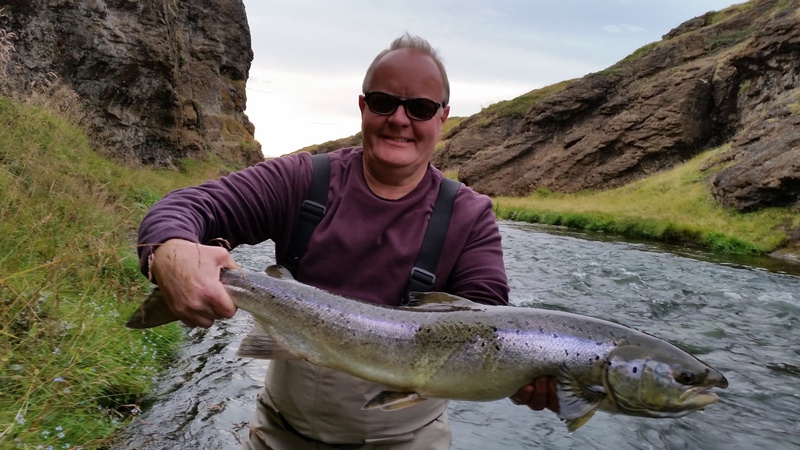 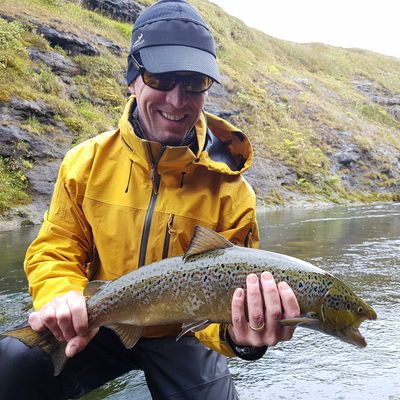 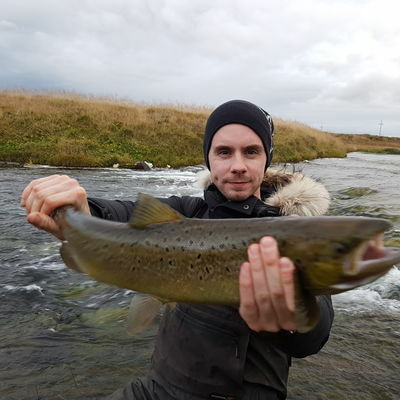 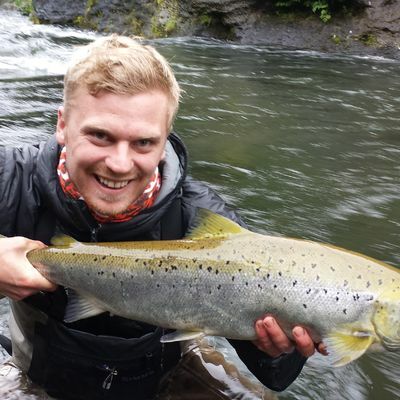 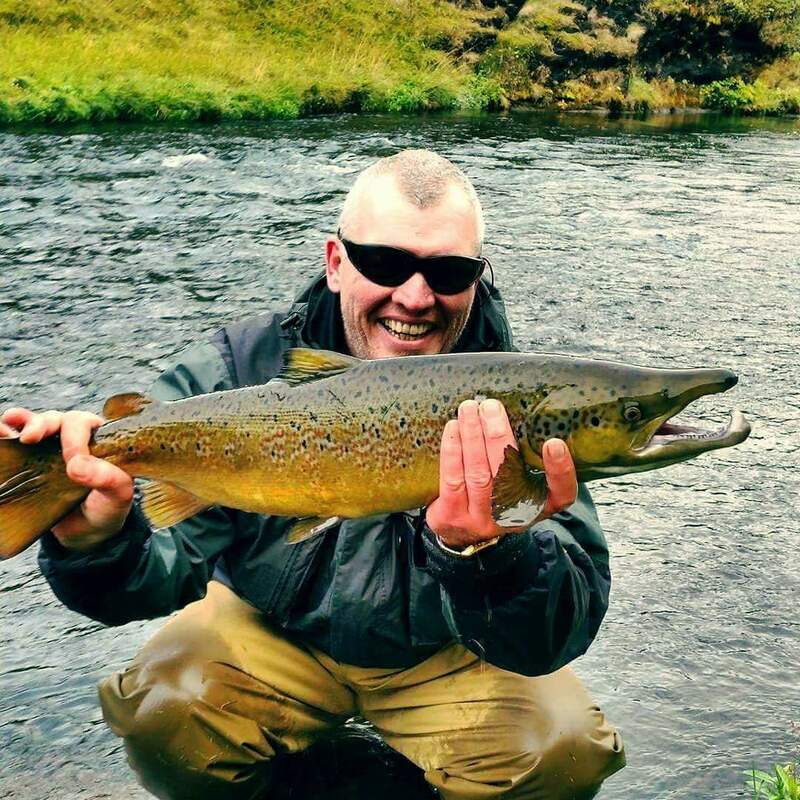 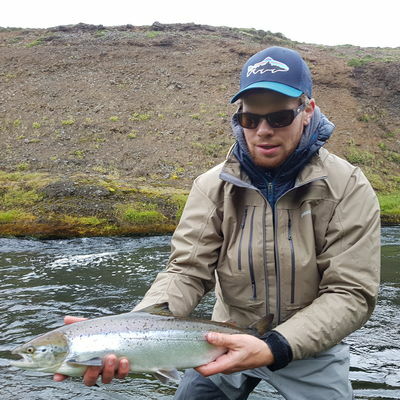 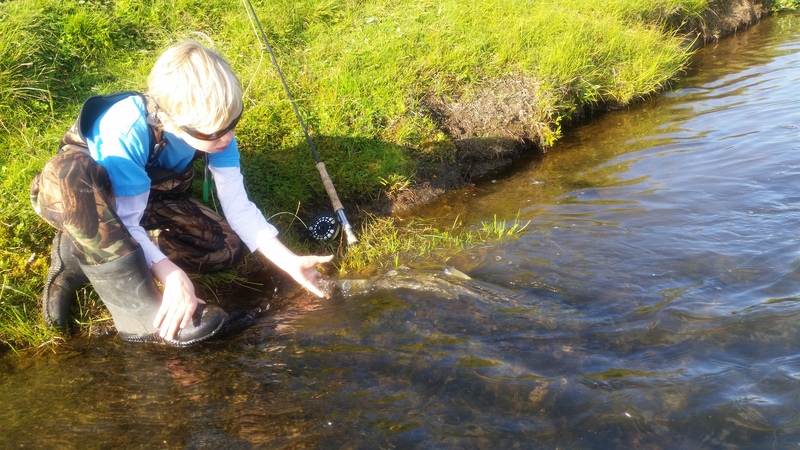 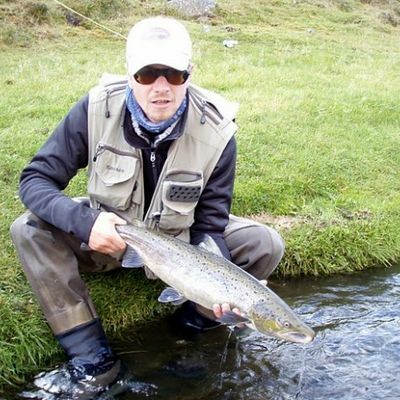 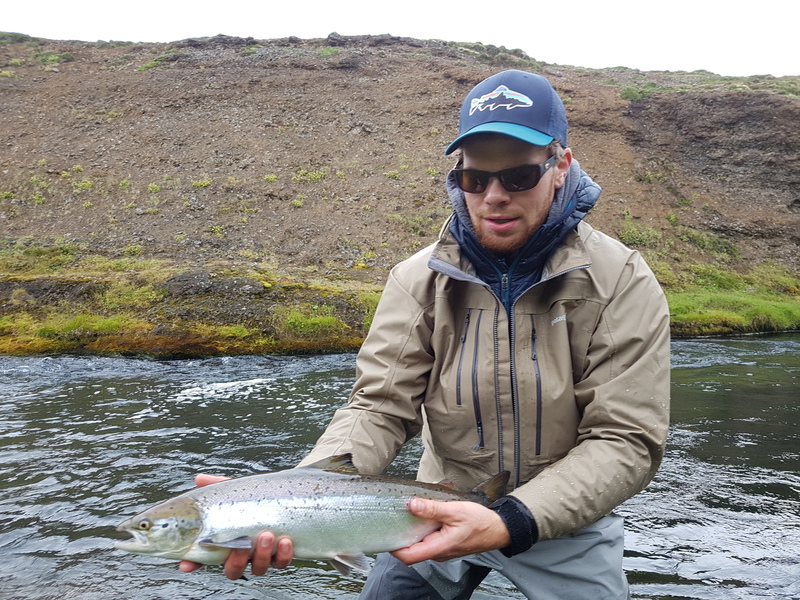 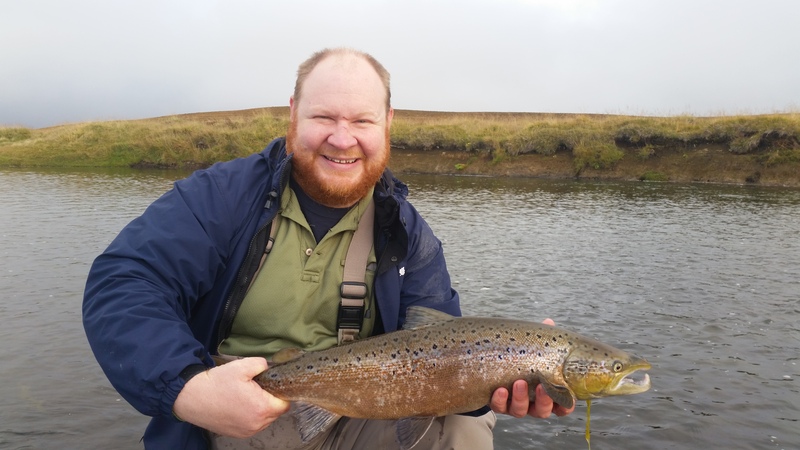 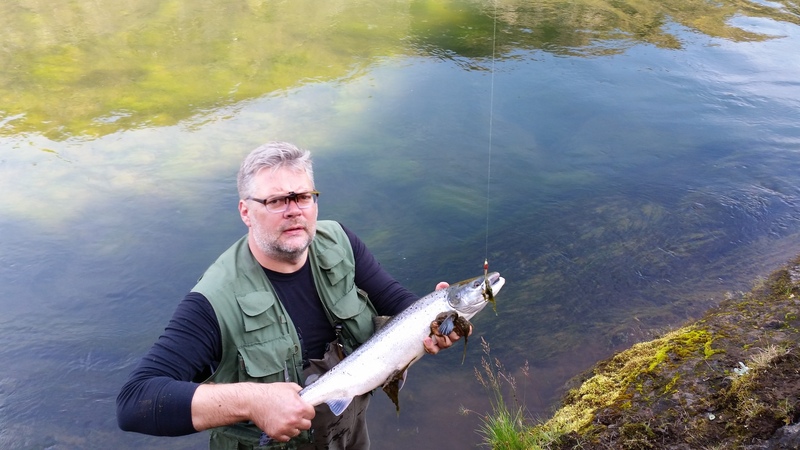 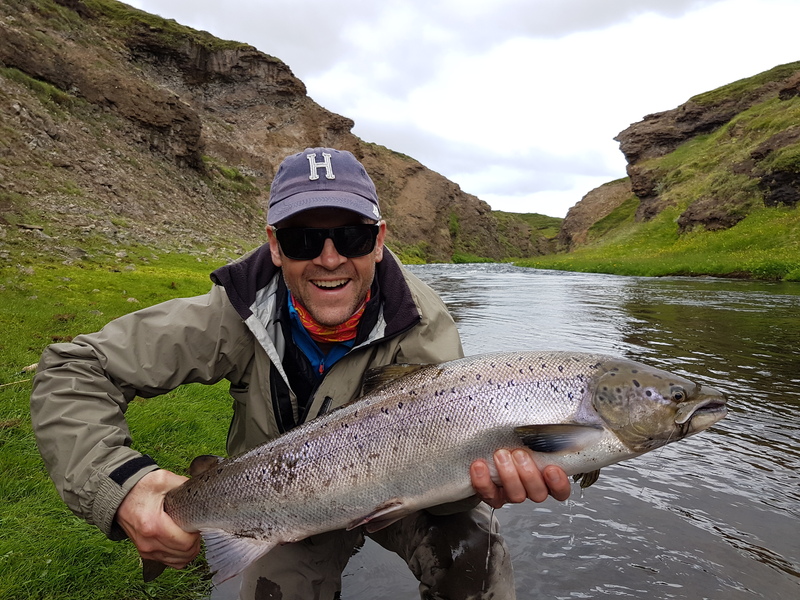 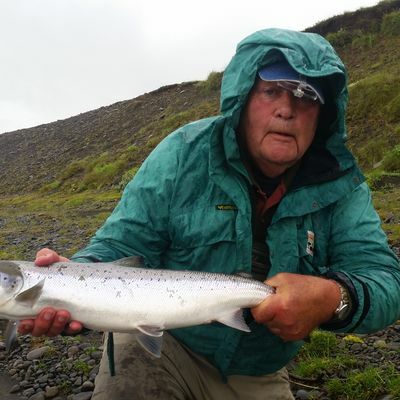 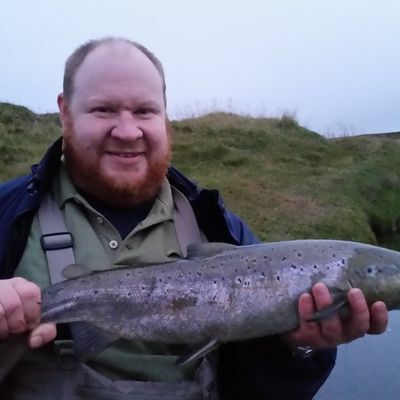 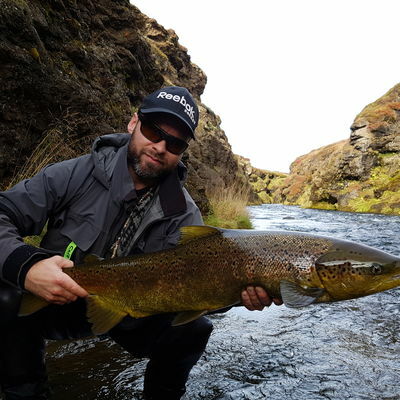 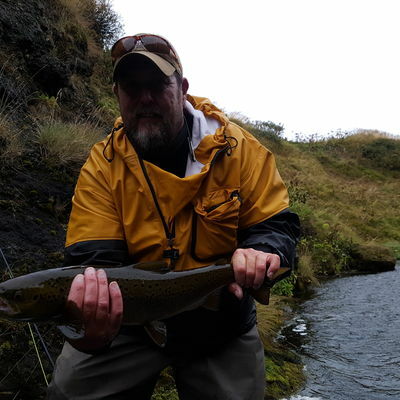 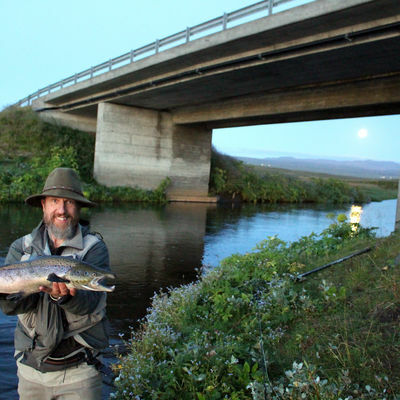 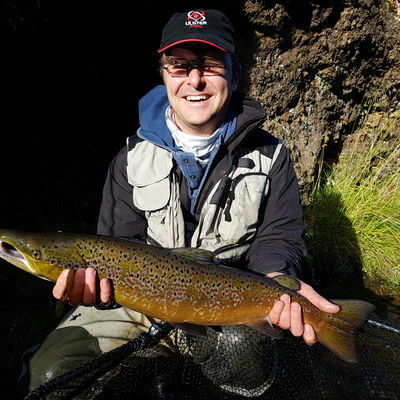 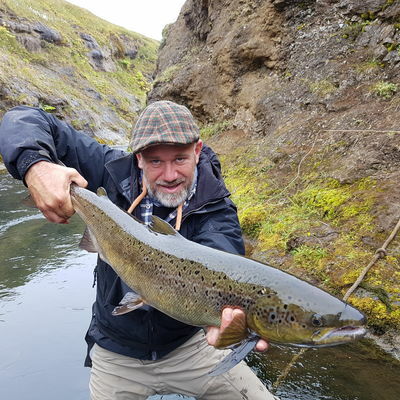 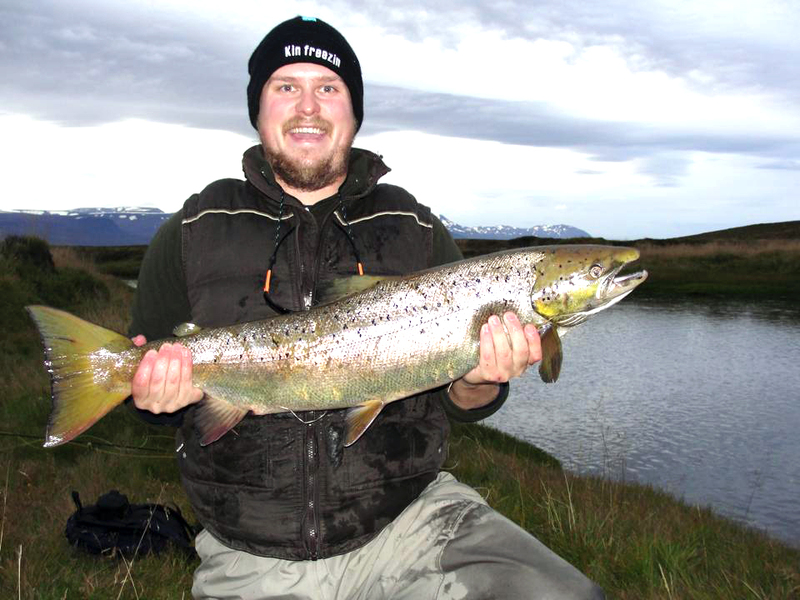 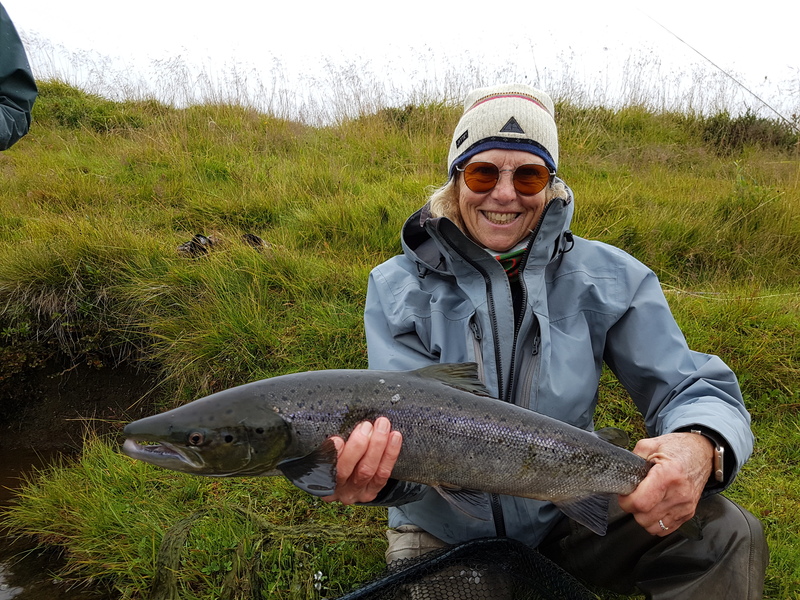 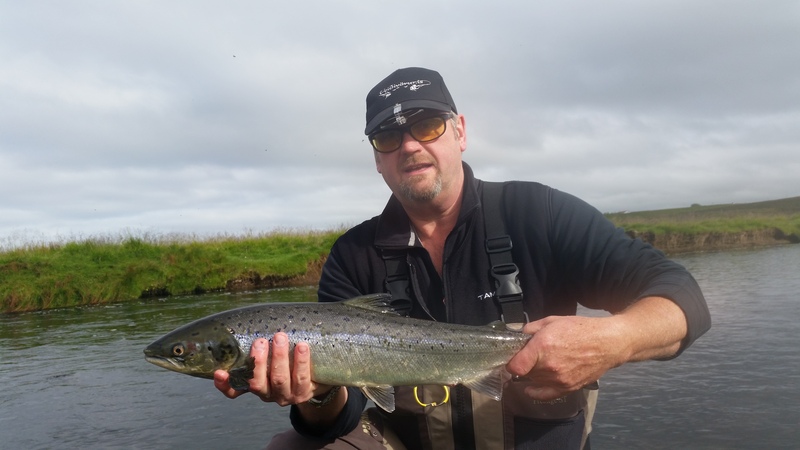 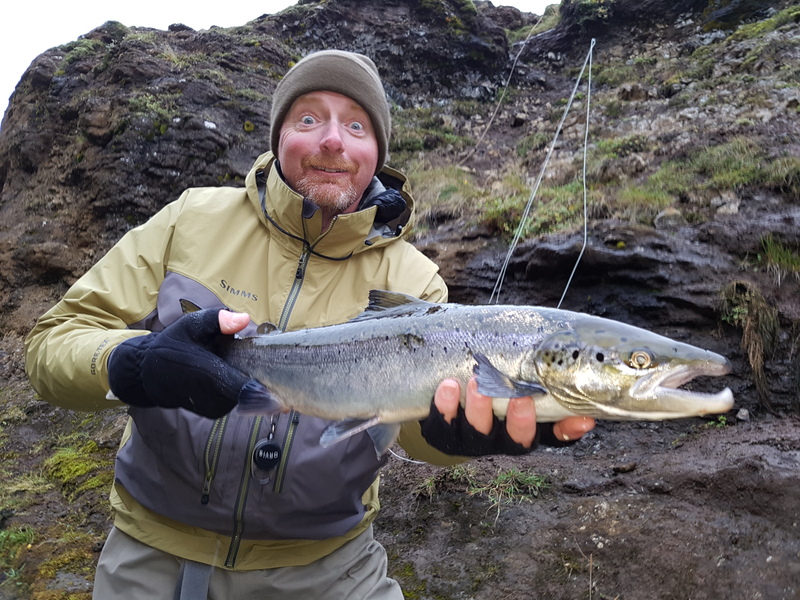 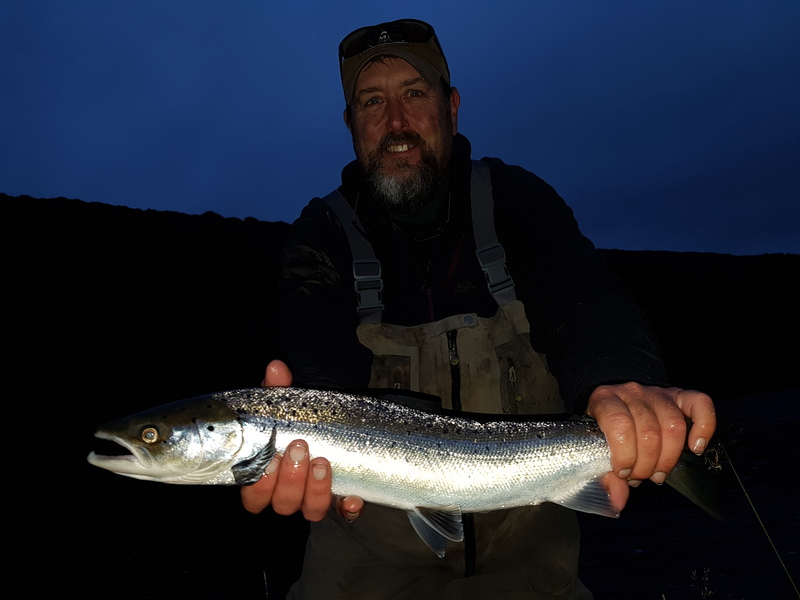 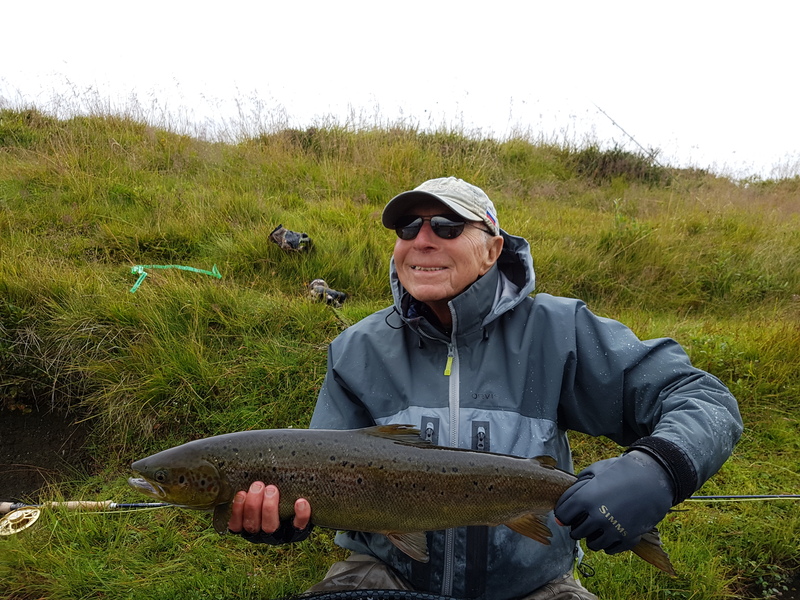 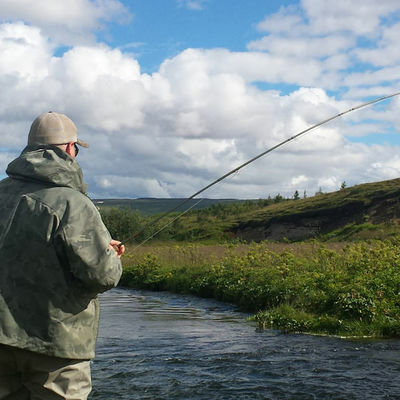 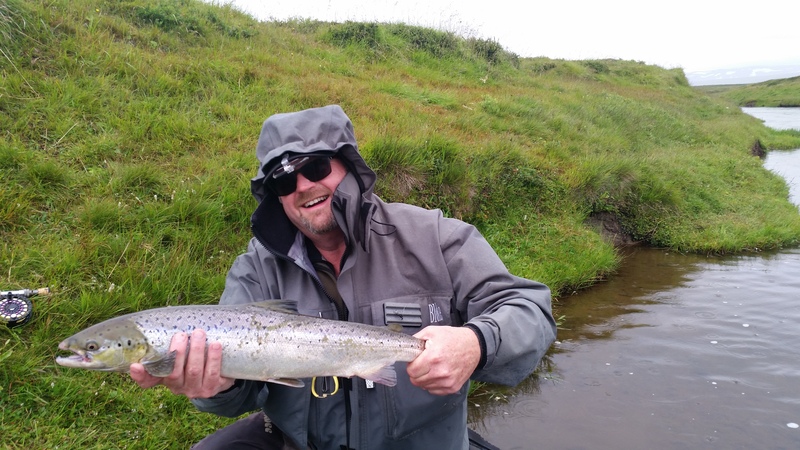 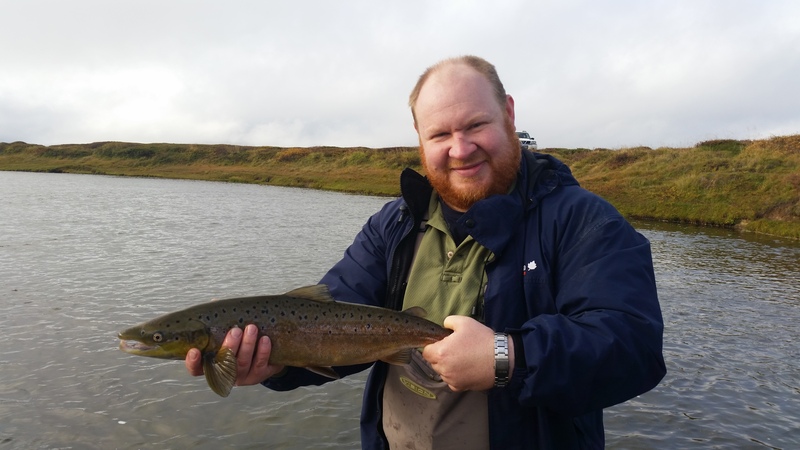 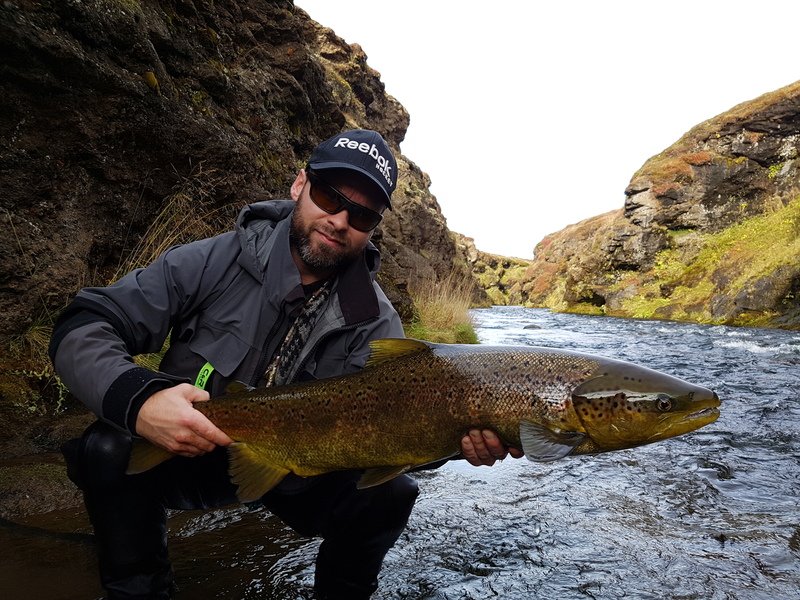 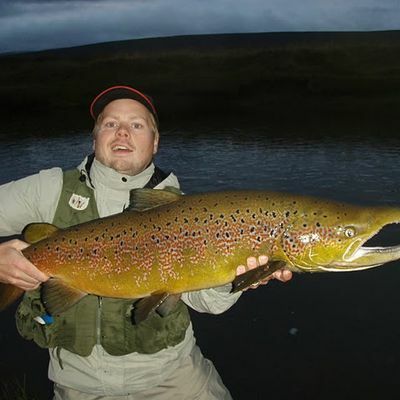 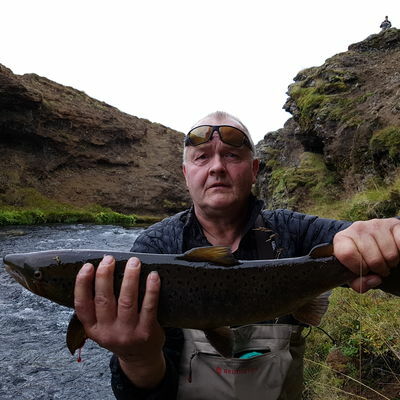 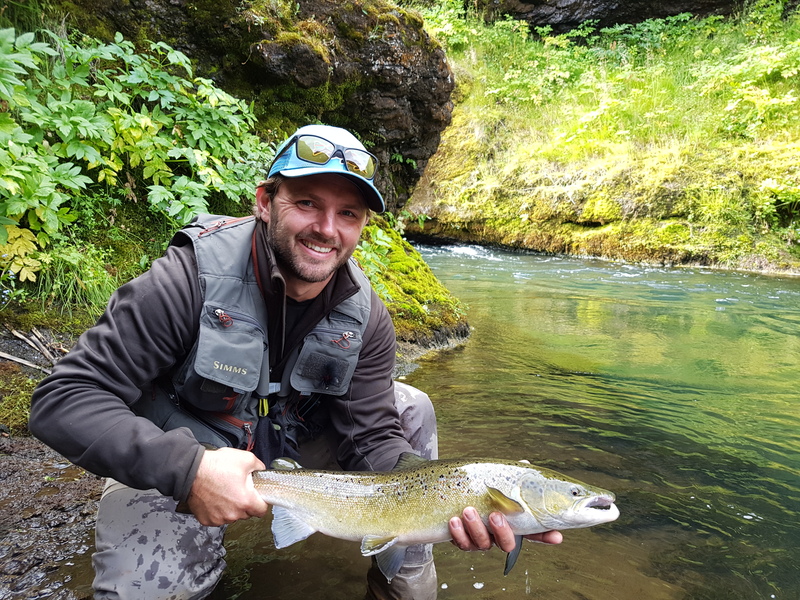 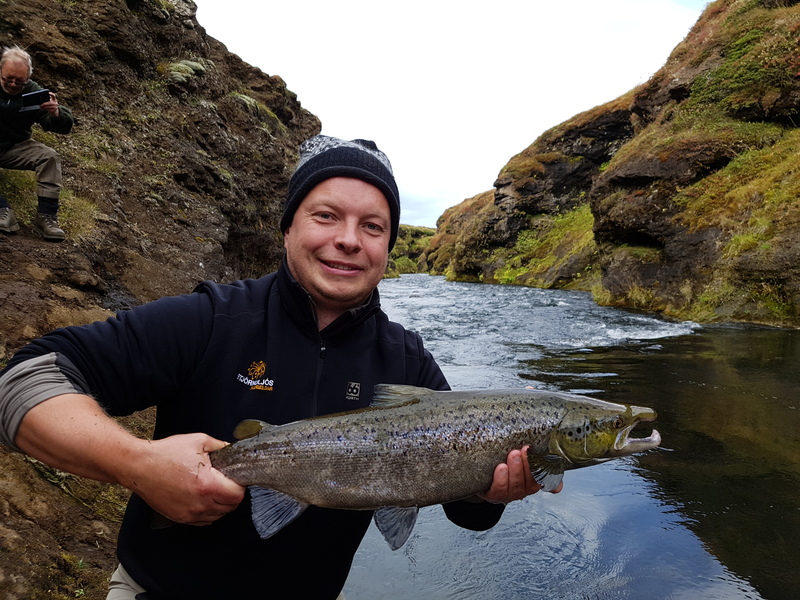 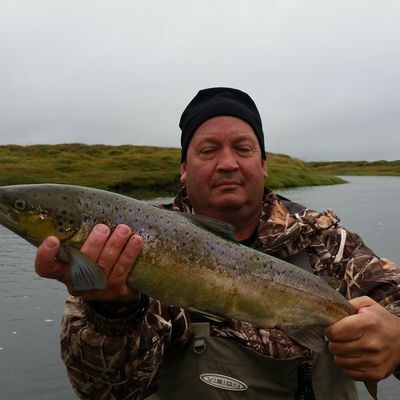 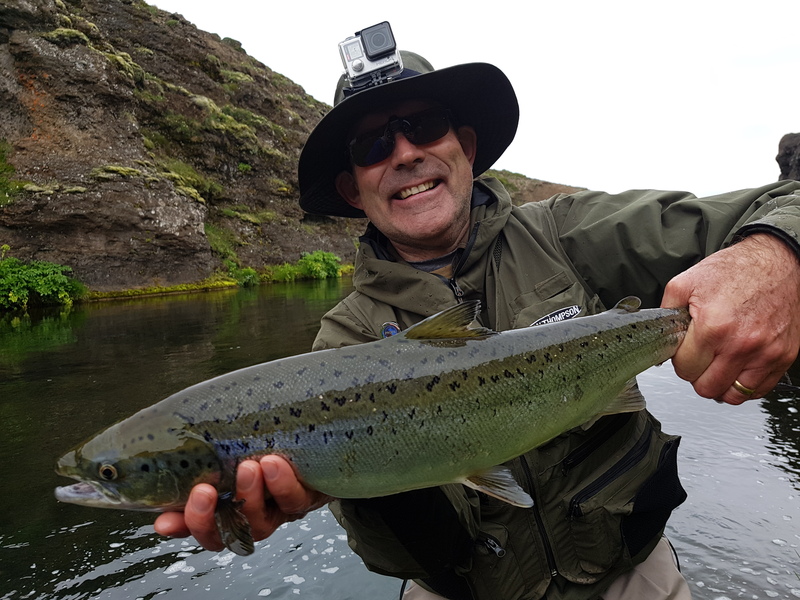 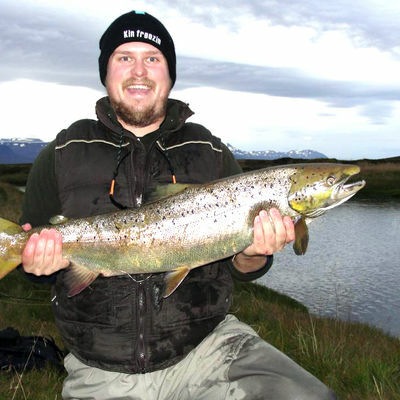 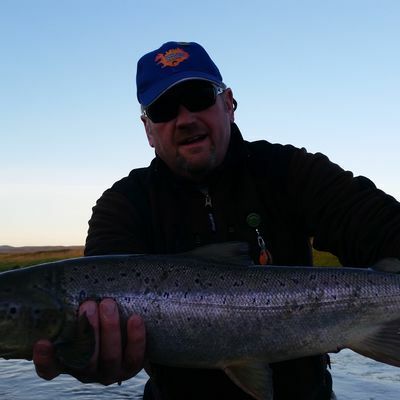 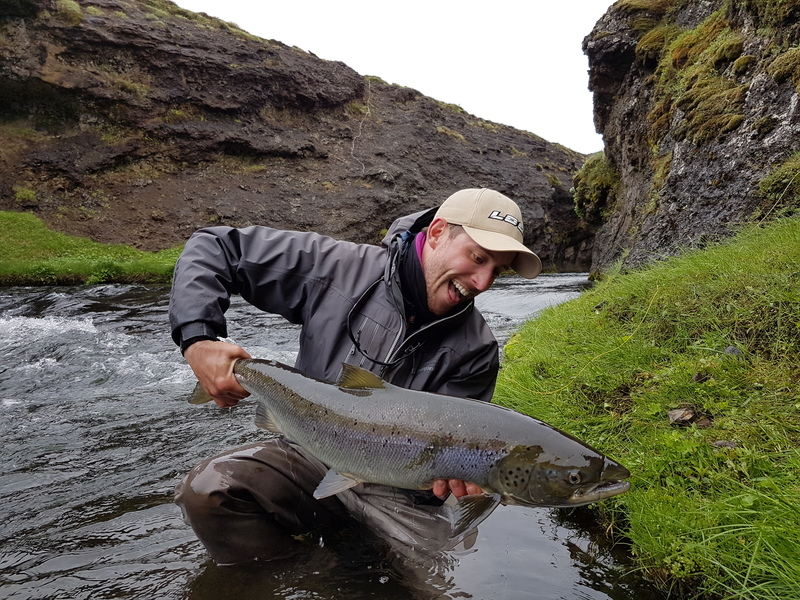 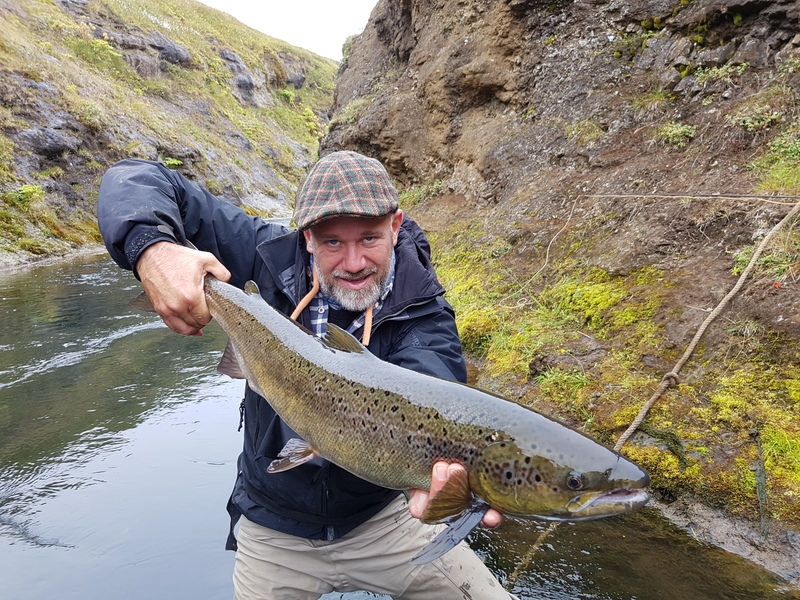 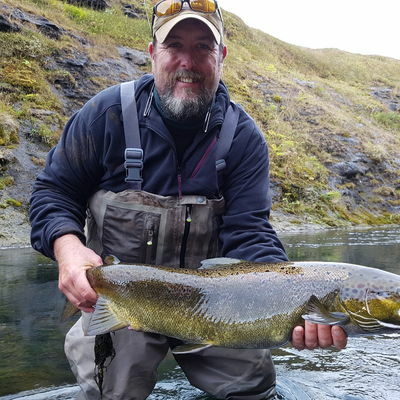 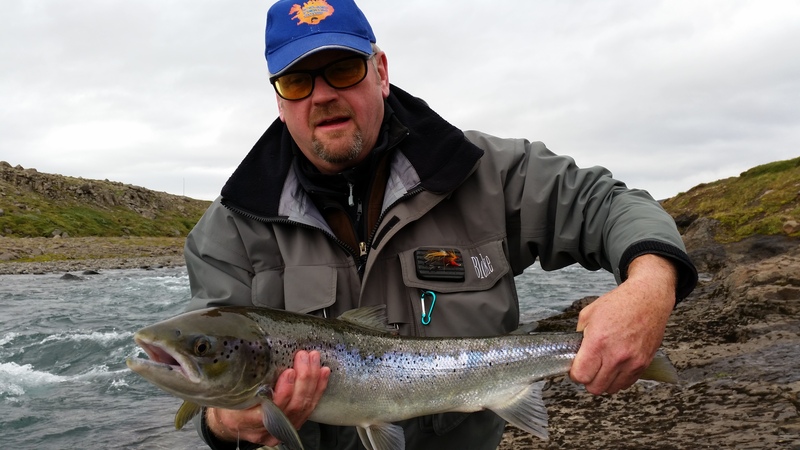 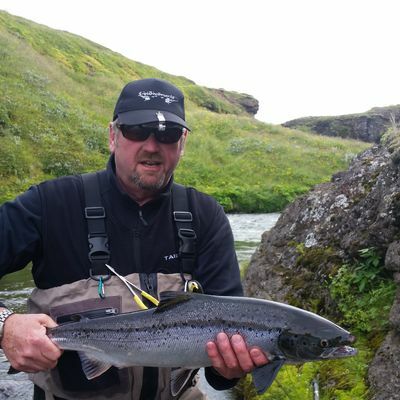 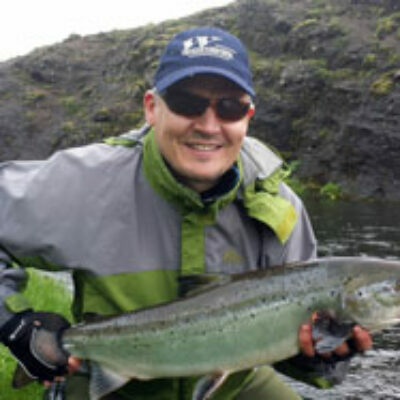 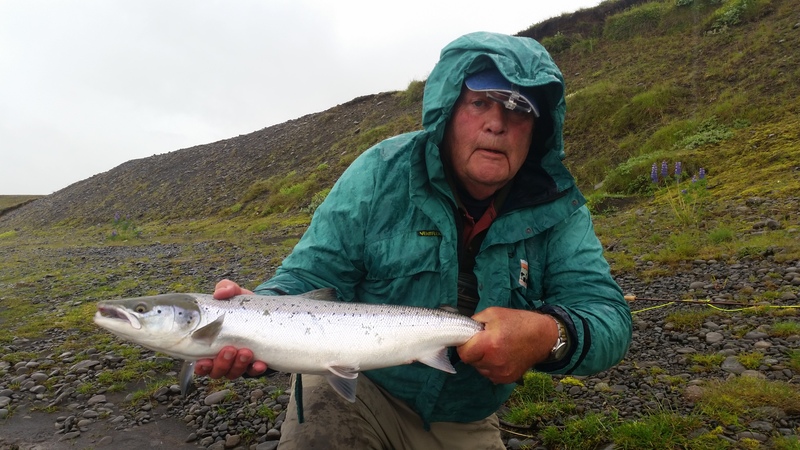 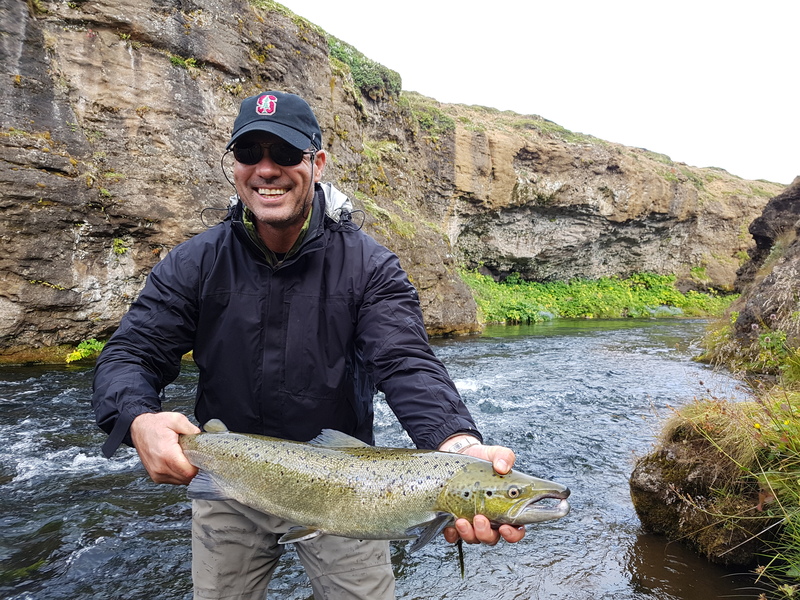 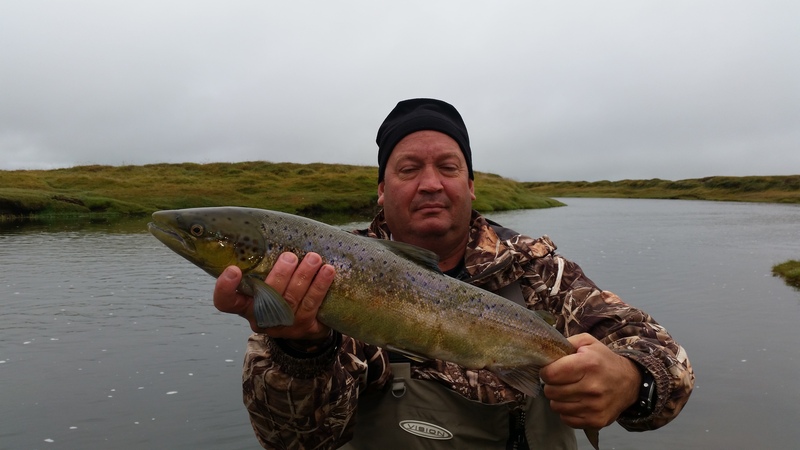 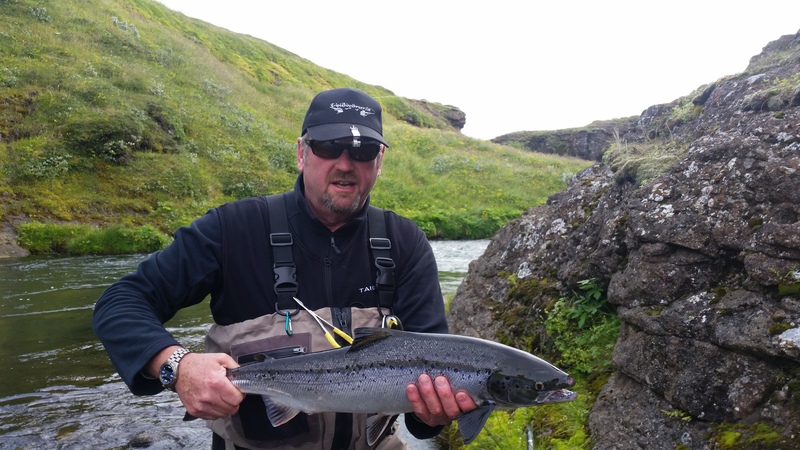 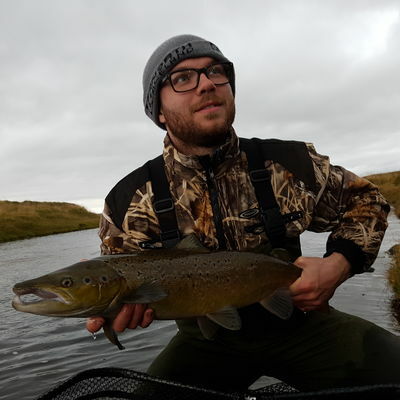 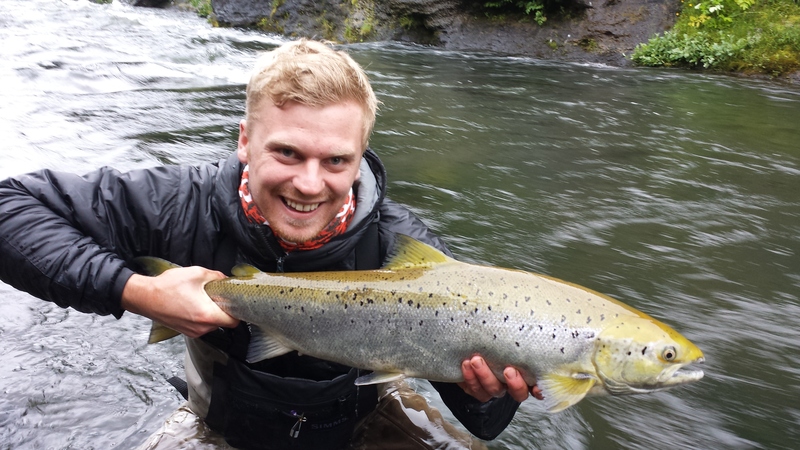 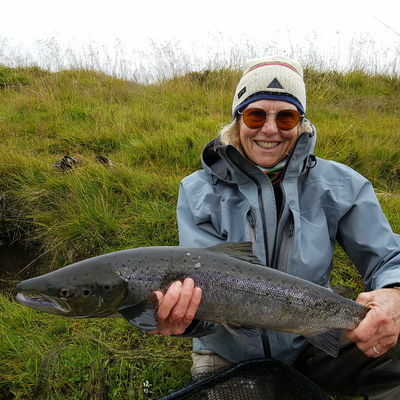 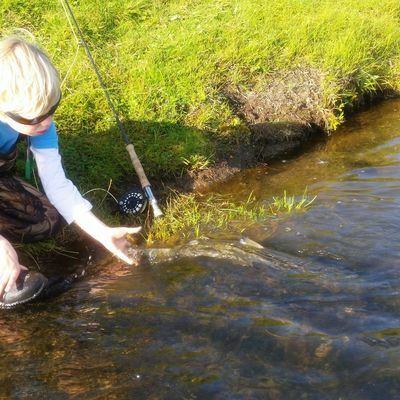 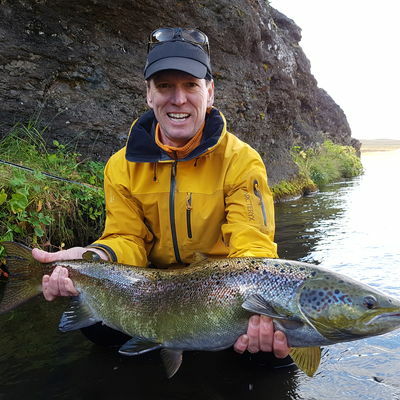 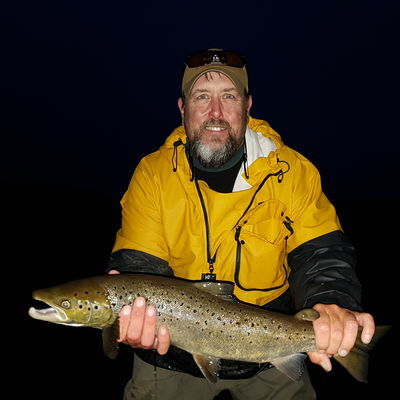 From July 20th and throughout August and September it is all about salmon fishing on the Mýrarkvísl with the bigger brown trout getting territorial towards the end of August and throughout September we are catching good size brown trout on the salmon flies. 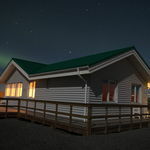 The Myrarkvisl lodge serves as a fishing lodge for the river Myrarkvisl in the summertime but in the winter time we open to tourists hoping to get away from the hectic city life. 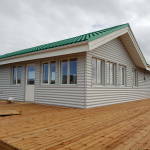 The lodge is brand new and was built in spring 2017. 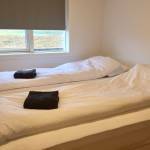 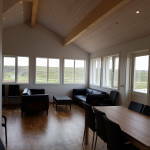 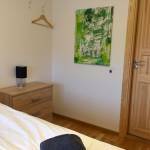 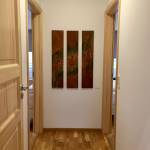 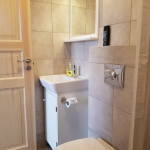 The lodge has 4 double bedrooms each with private bathroom facilities, a fully equipped kitchen, large living room with a dining table and a hot tub and gas BBQ outside. 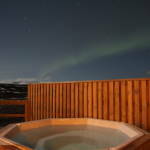 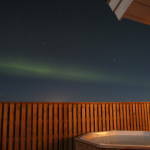 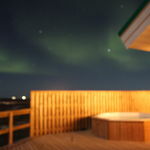 It is a great place to see the Northern lights and we do offer Ice fishing and snowmobile tours in the area. 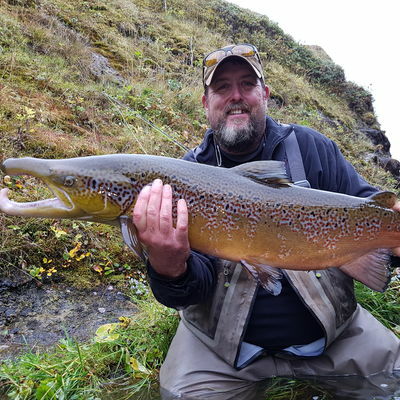 Included in the fishing permits. 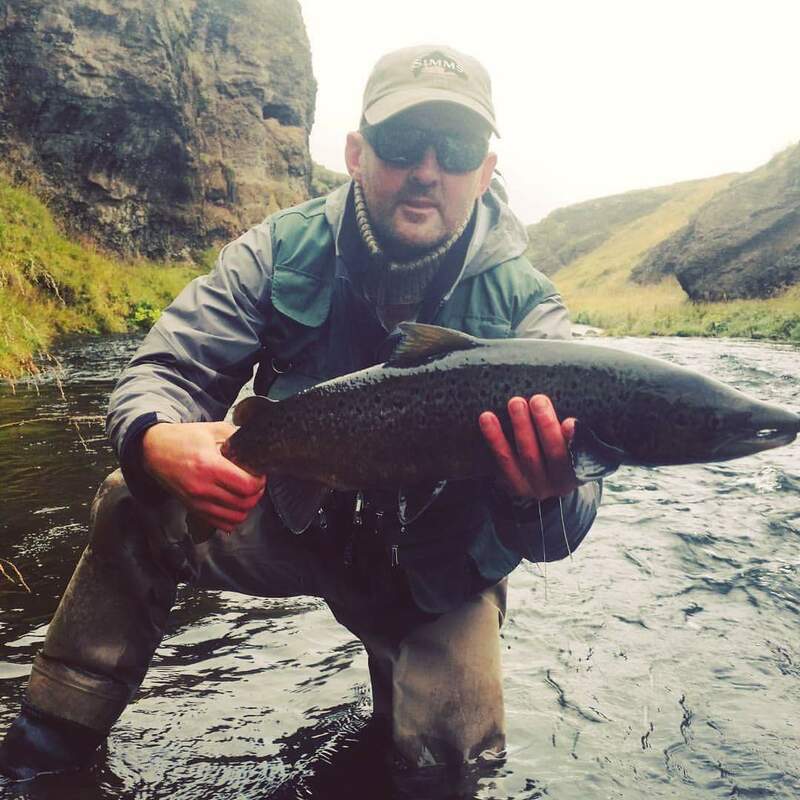 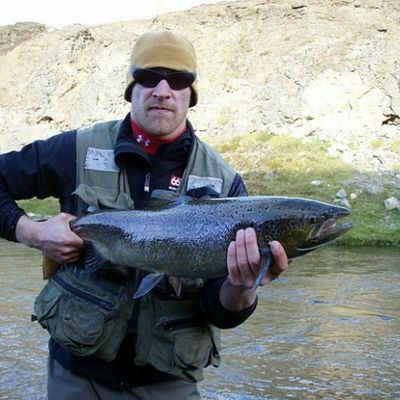 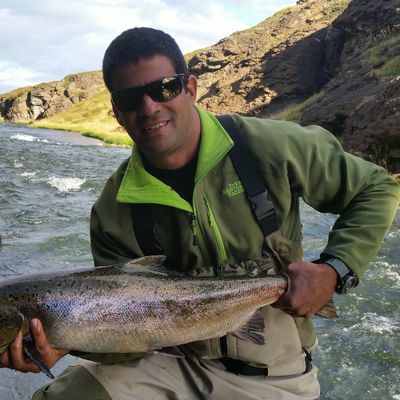 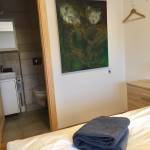 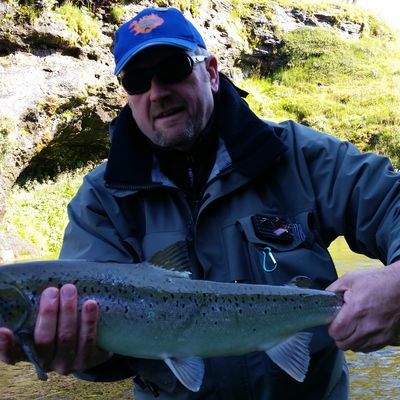 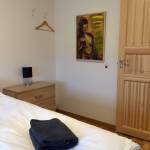 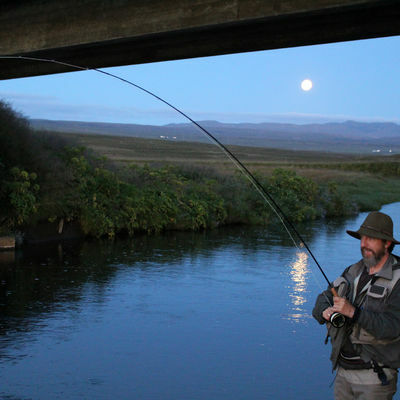 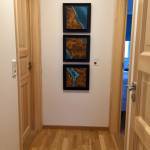 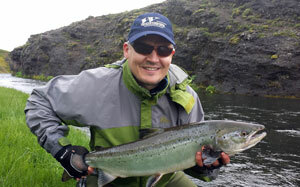 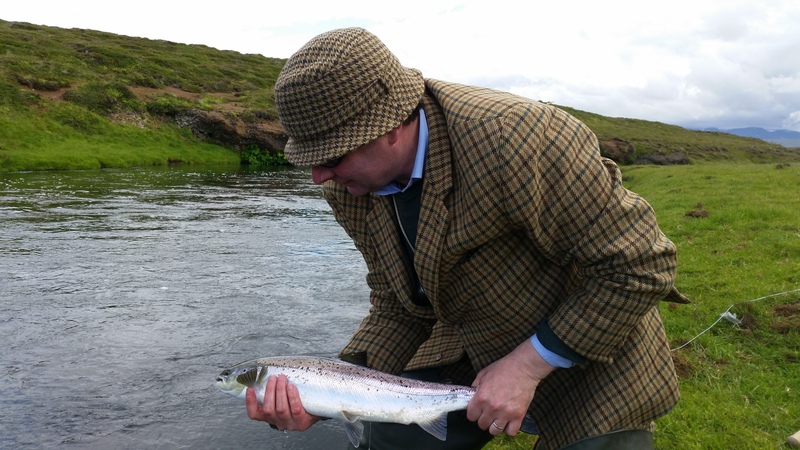 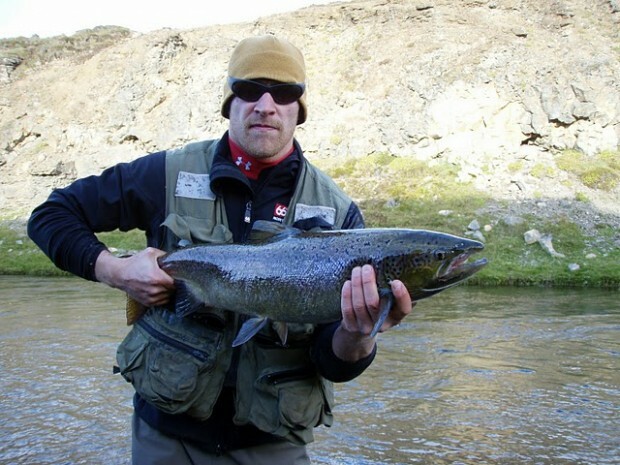 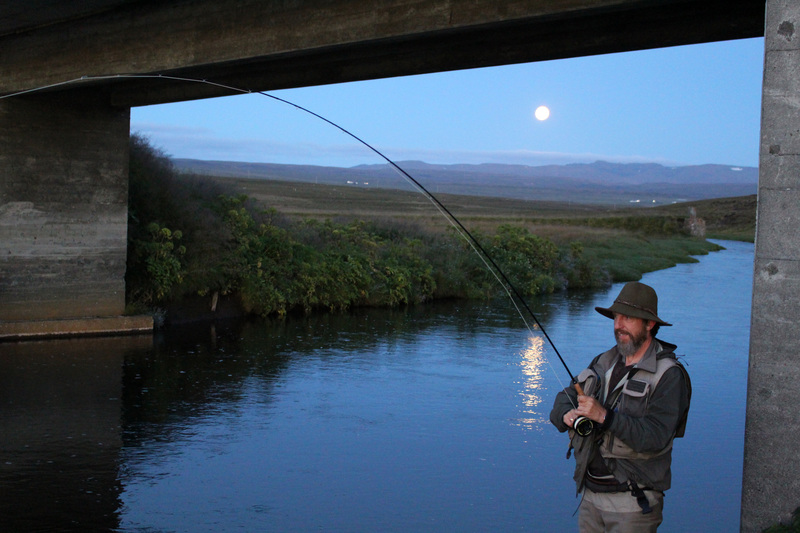 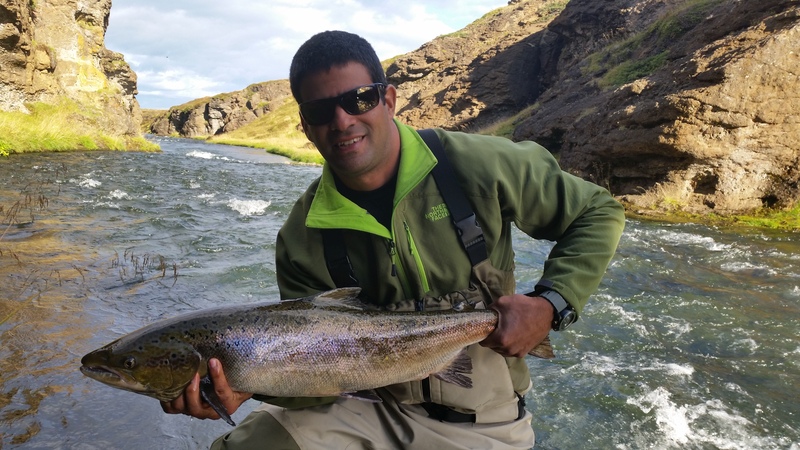 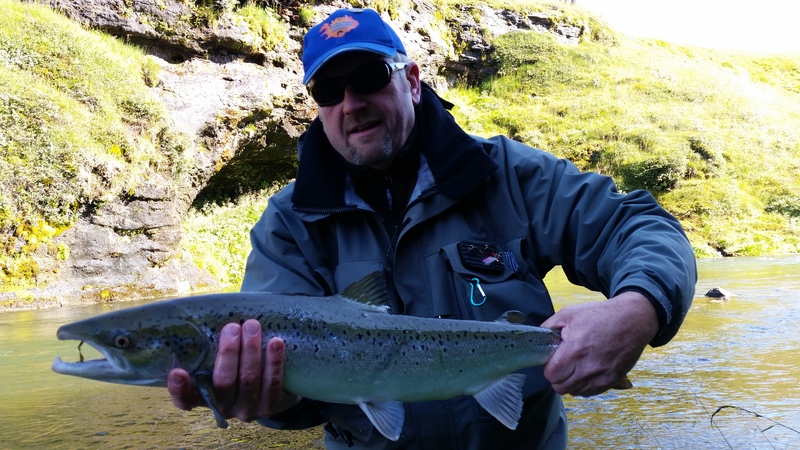 The river is about an hour drive from Akureyri & a 10minuet drive from the town of Húsavík.